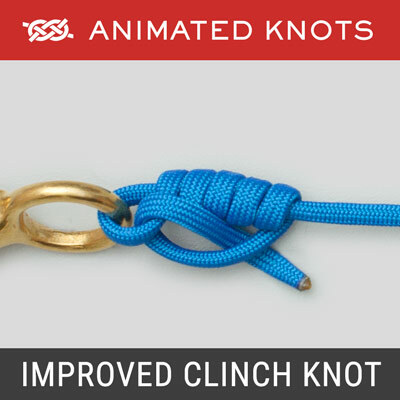 Use filters to narrow results, or Search for a specific knot. 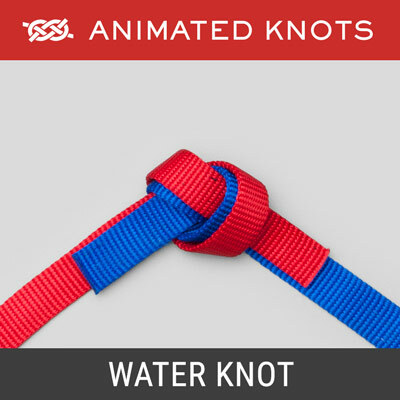 Note that searches for alternate names are accepted (e.g. 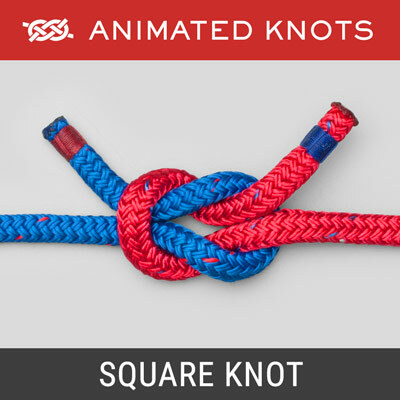 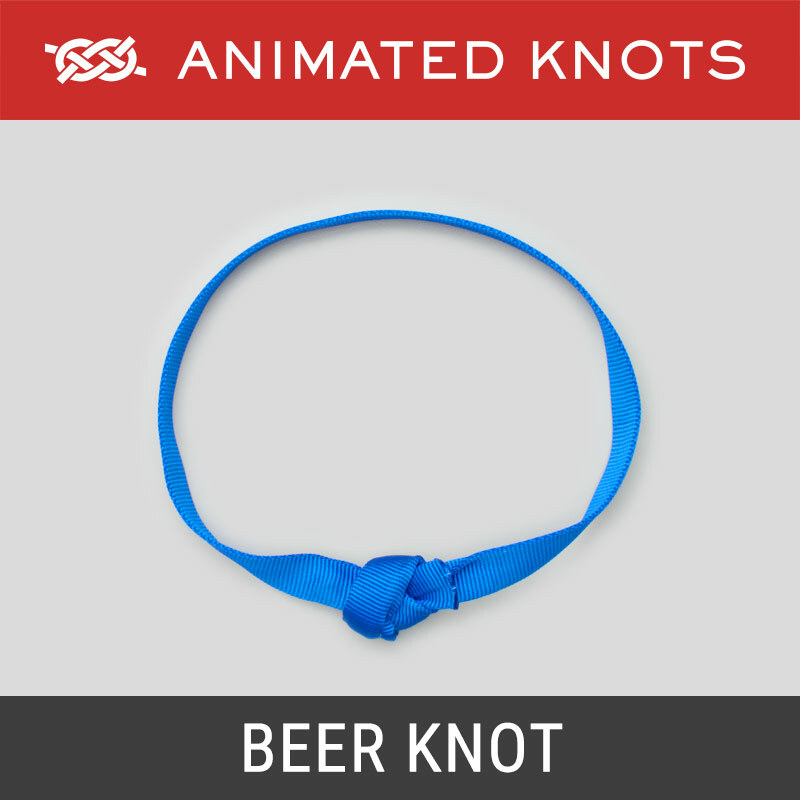 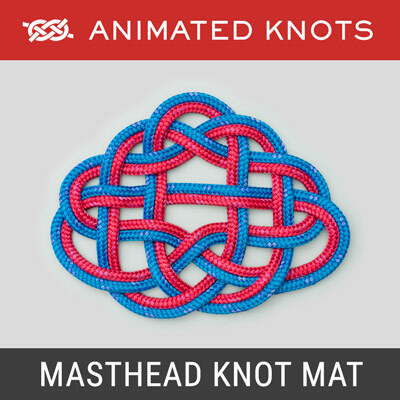 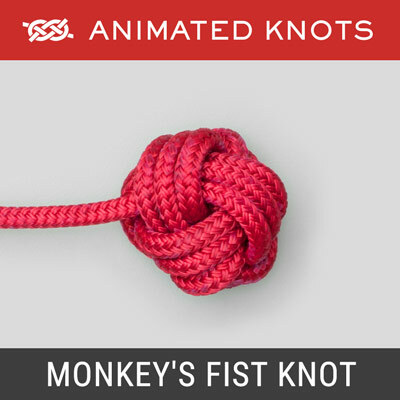 “reef knot” for “square knot”). 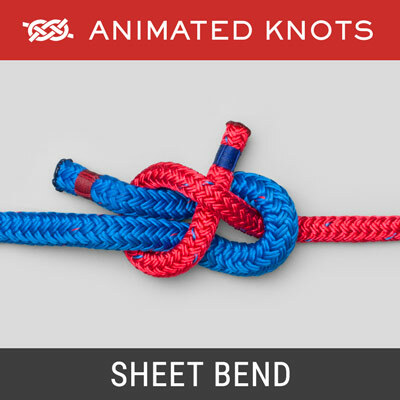 Used to tension a rope, e.g., a tent ridge line or a guy line. 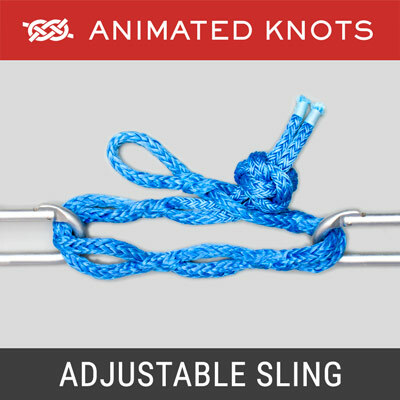 Adjustable Sling: push end through appropriate loop. 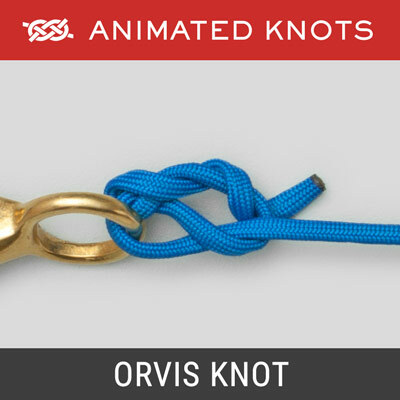 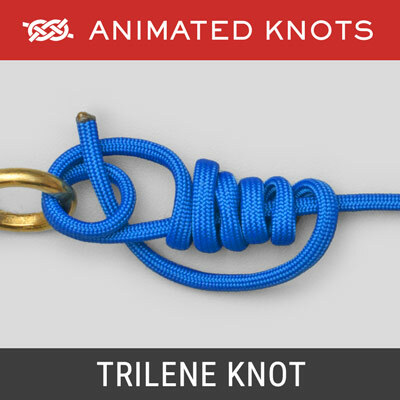 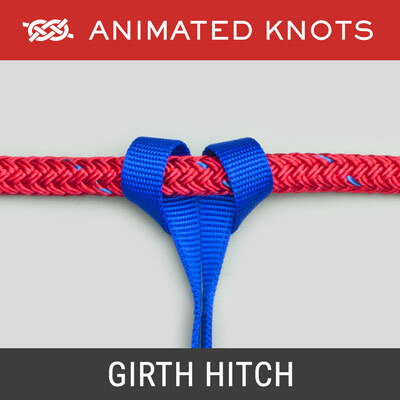 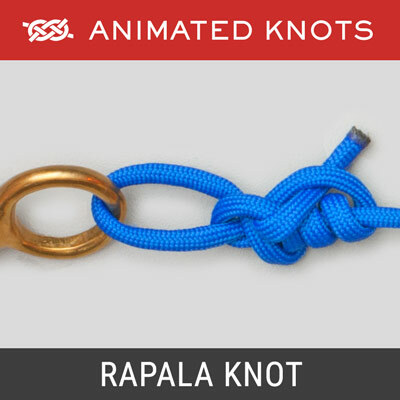 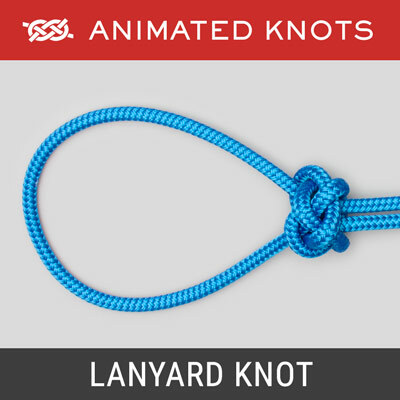 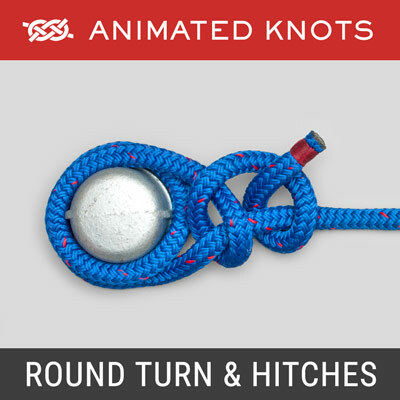 Excellent knot to attach an anchor line to an anchor. 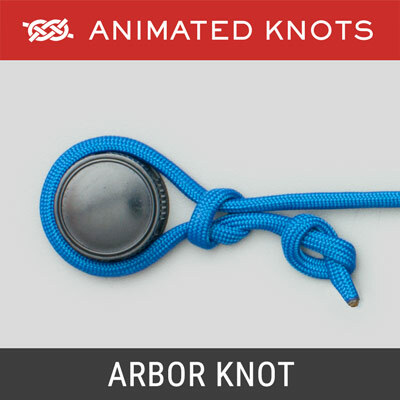 Used to attach the fishing line to the arbor or spool center. 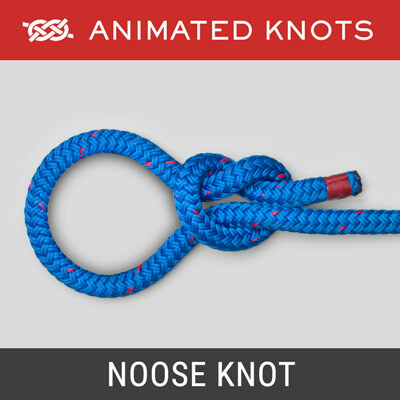 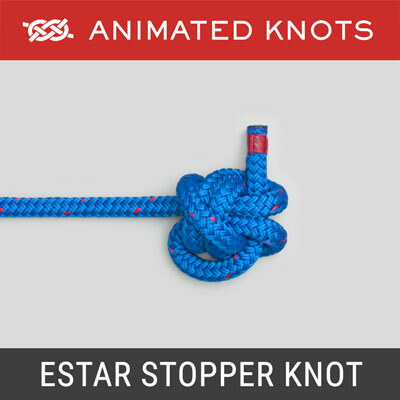 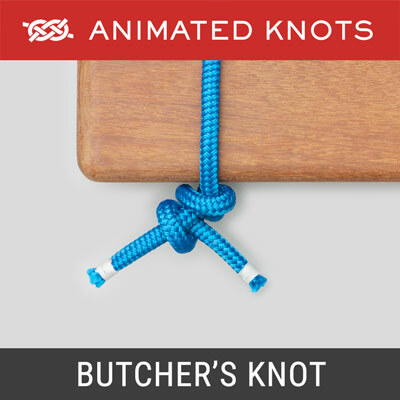 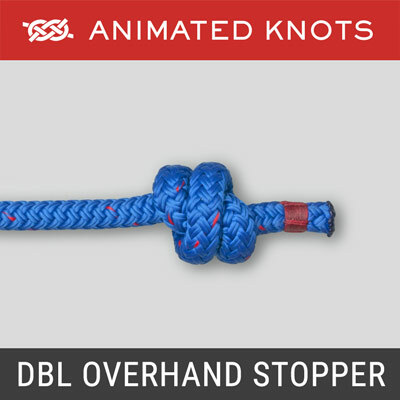 Makes reliable bulky stopper knot in the end of a rope. 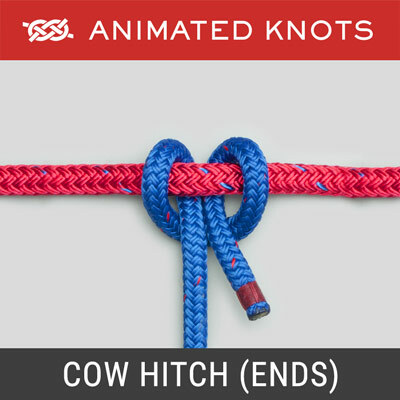 Secures end of twisted rope: Crown knot & tuck the ends. 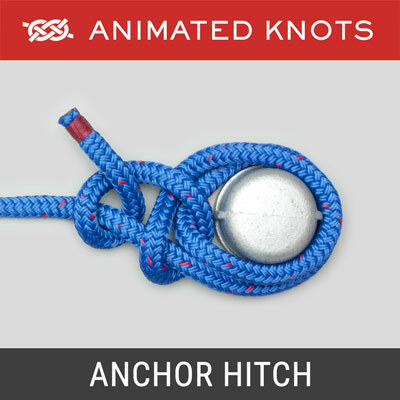 A webbing loop thrown over a branch provides an anchor. 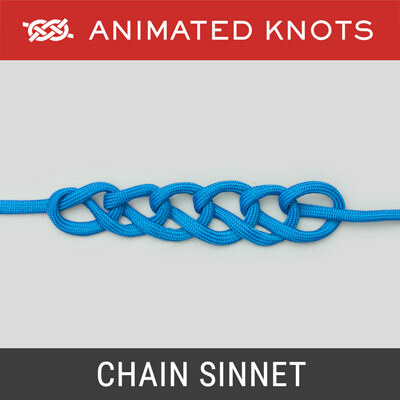 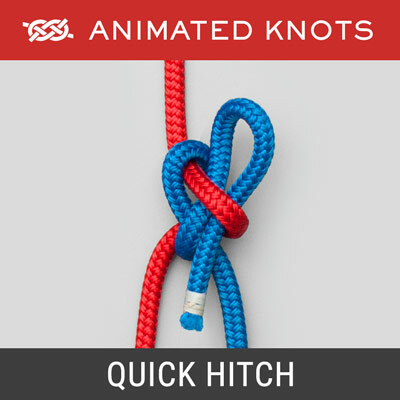 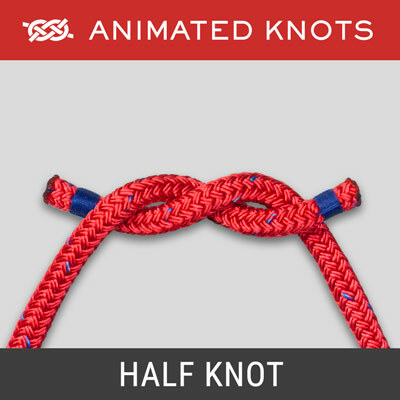 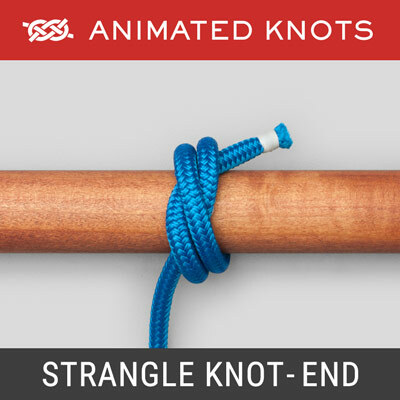 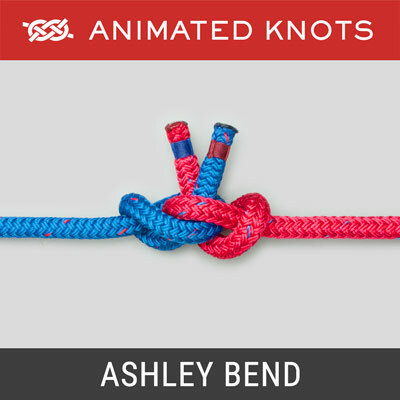 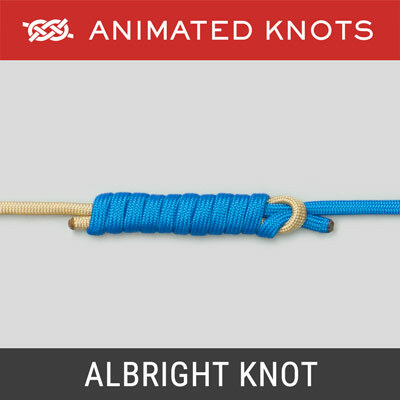 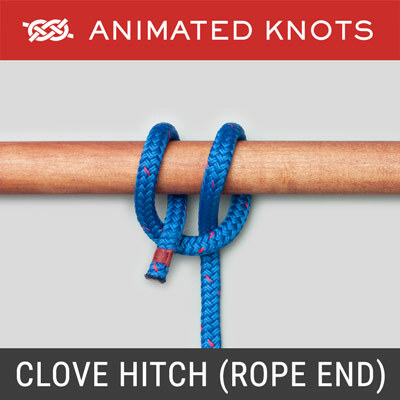 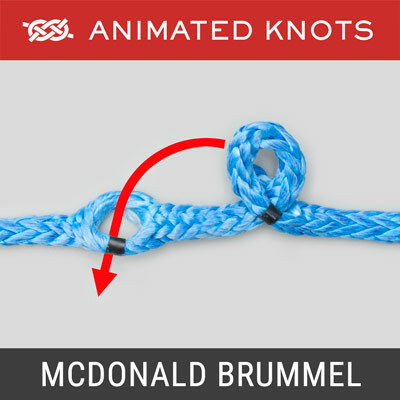 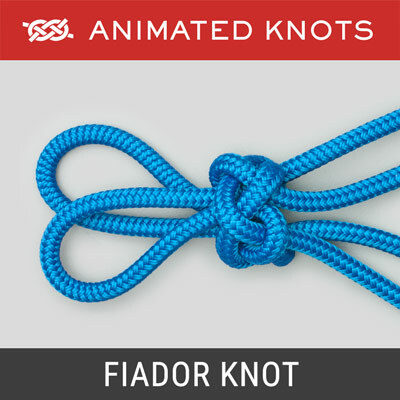 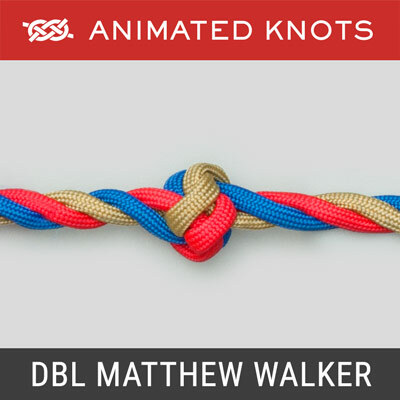 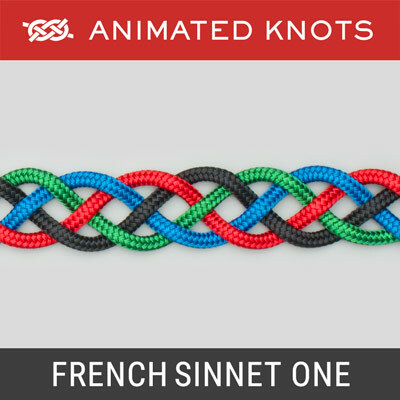 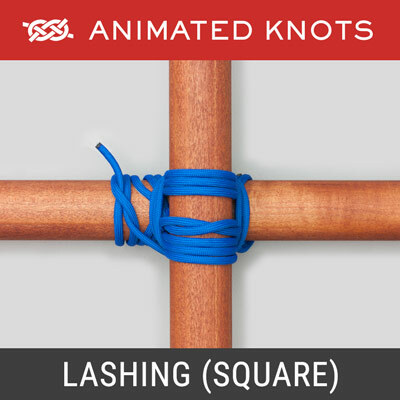 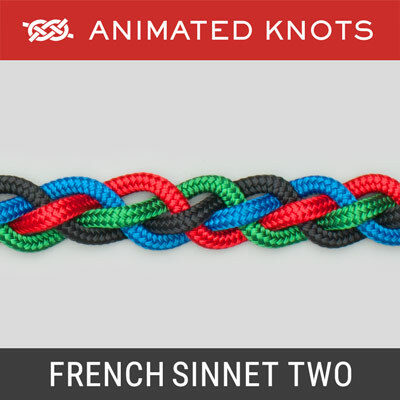 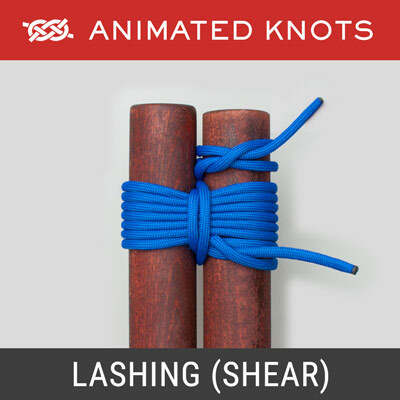 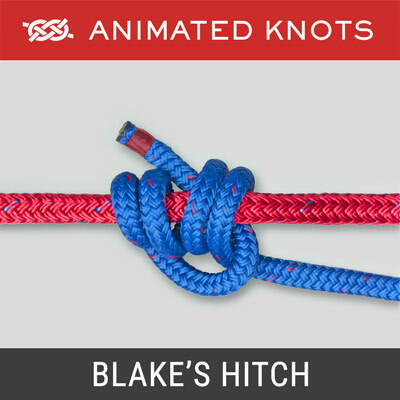 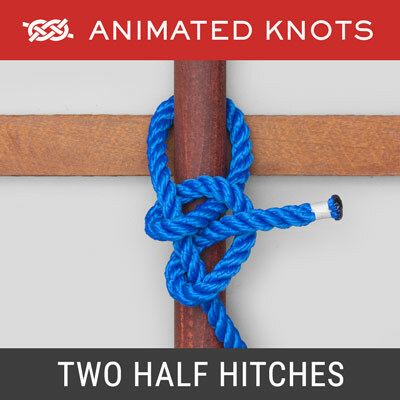 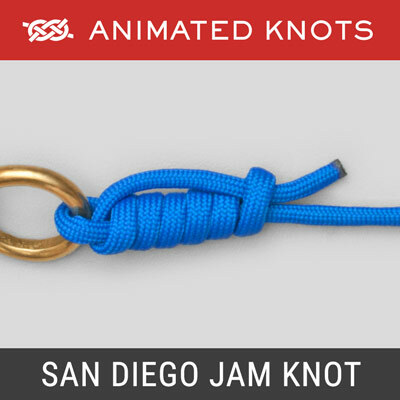 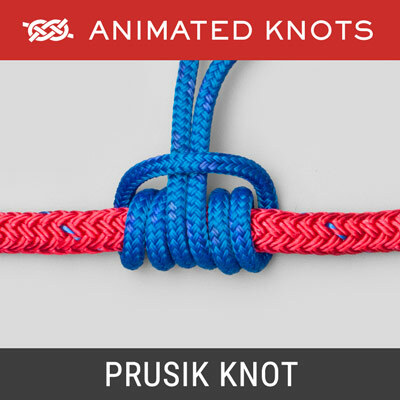 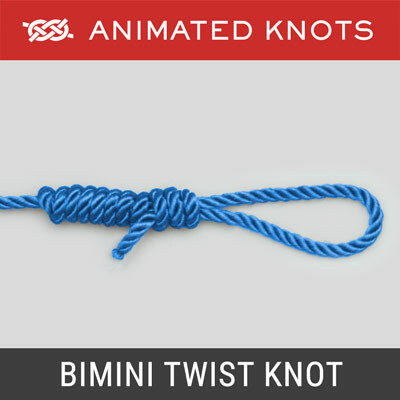 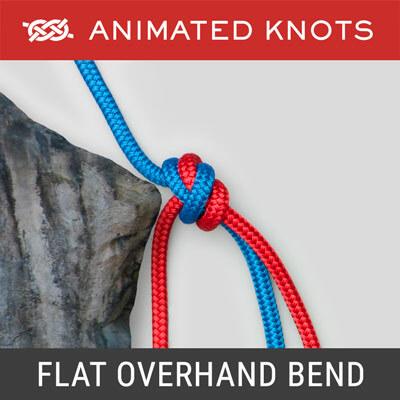 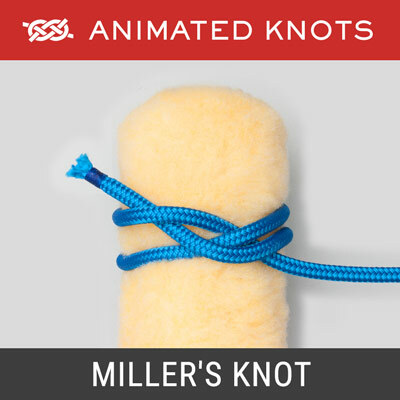 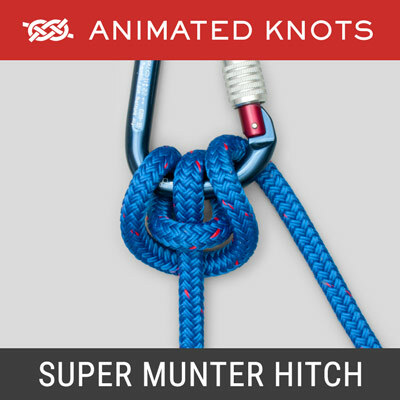 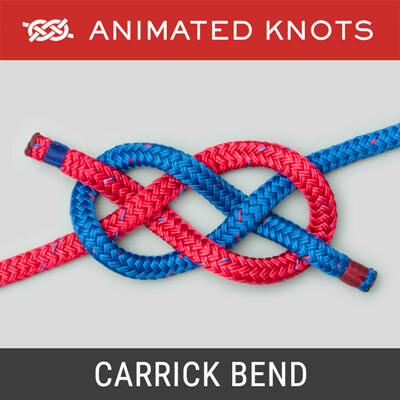 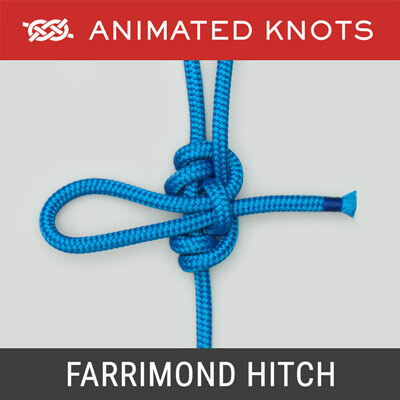 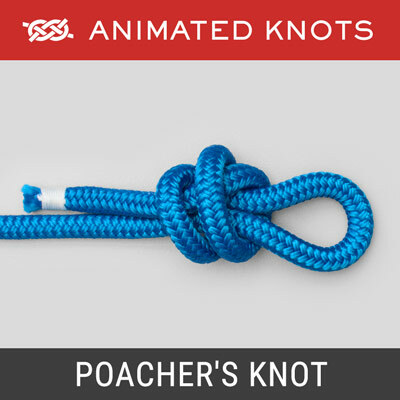 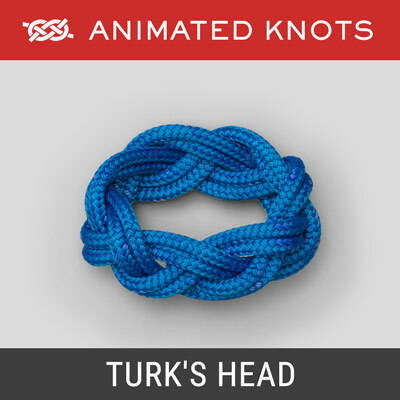 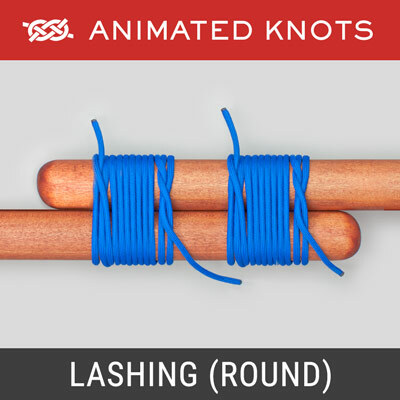 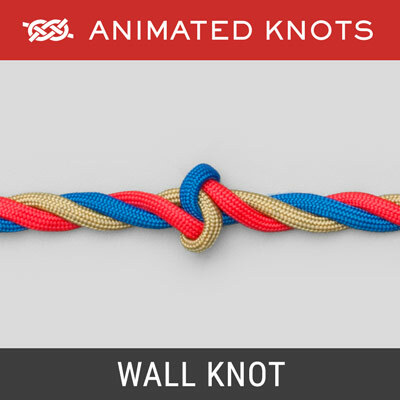 Joins ends of tubular webbing - finished with overhand knot. 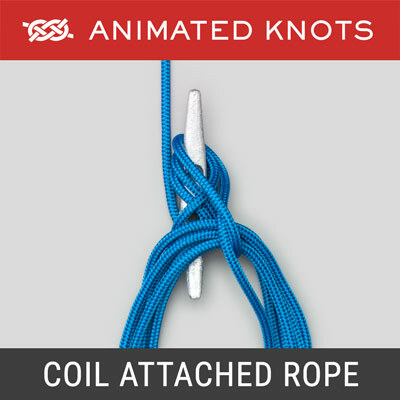 Attach rope to spar for right-angle strain or parallel strain. 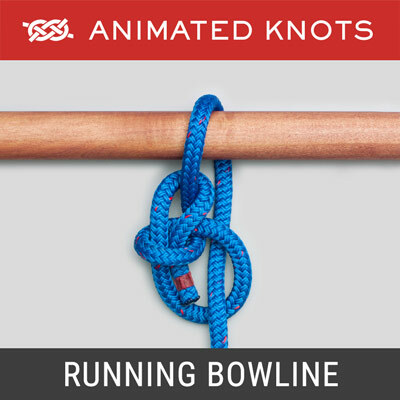 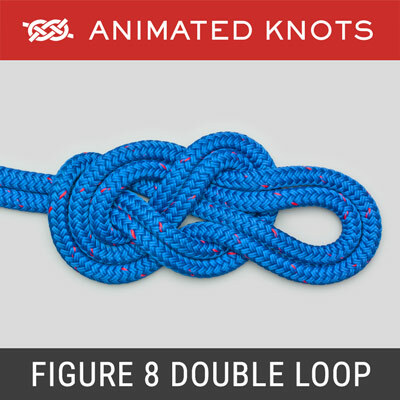 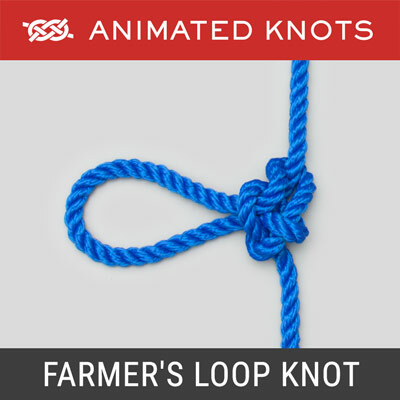 Bowline relative, but a double loop in the middle of a rope. 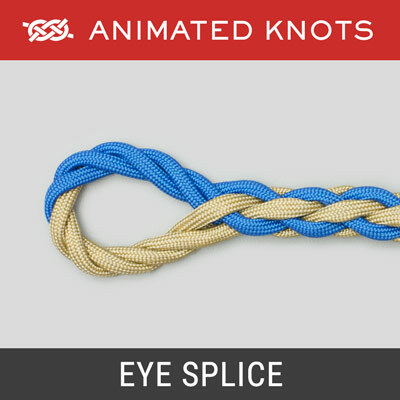 Create a secure, locked eye splice in a hollow braid rope. 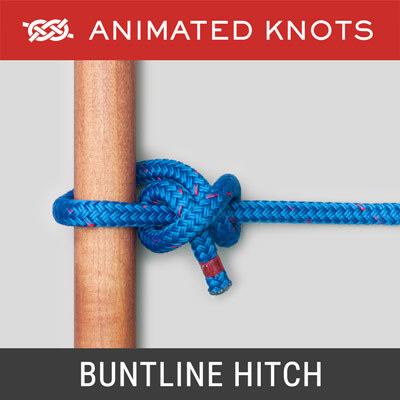 Secure hitch originally used to join buntlines to square sails. 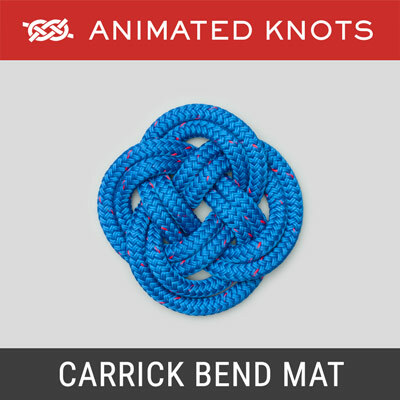 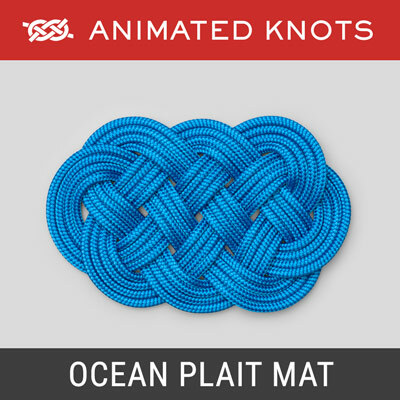 Makes a pleasing rope mat with a rectangular shape. 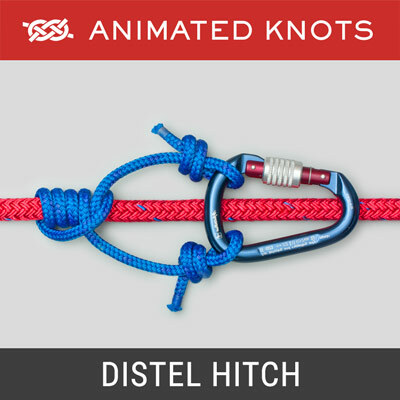 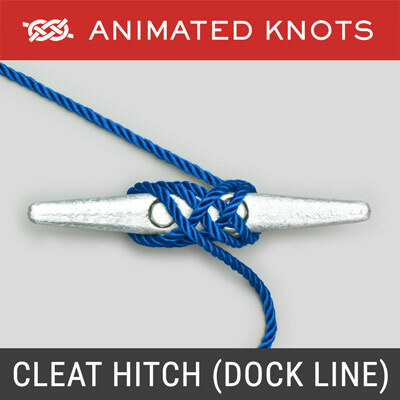 Attaches rope to cleat. 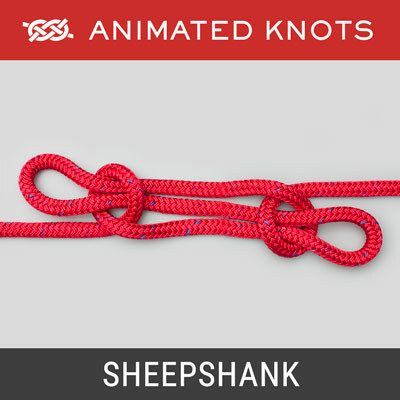 Often used for Dock Lines. 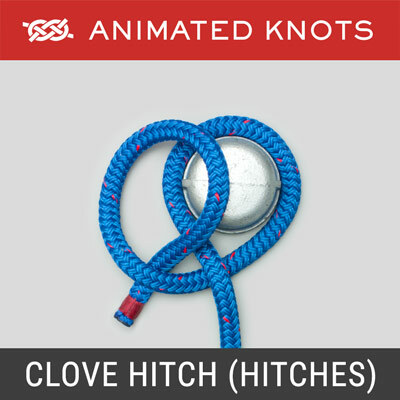 Attaches rope to cleat - used for halyards, clotheslines, etc. 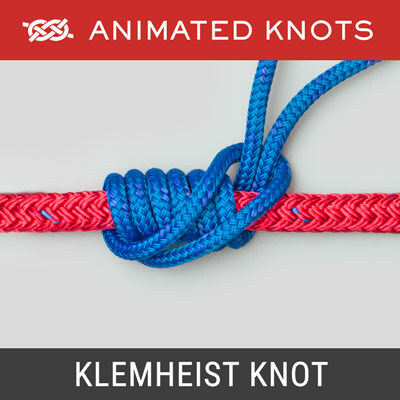 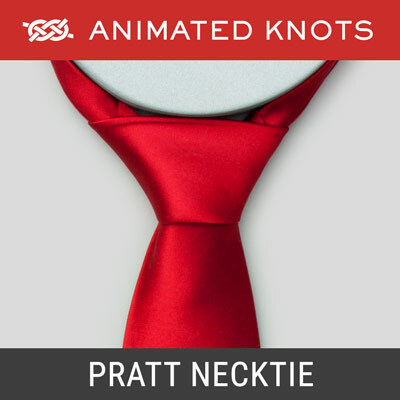 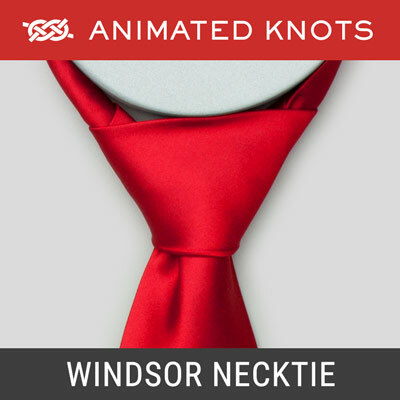 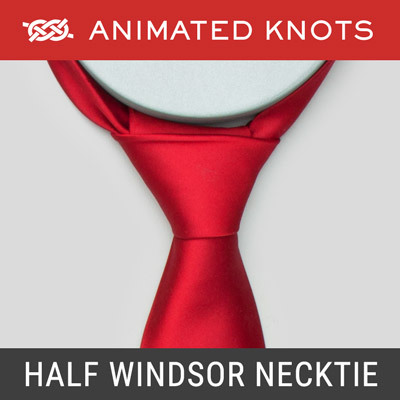 Neat knot for lanyards, e.g., military shoulder lanyards. 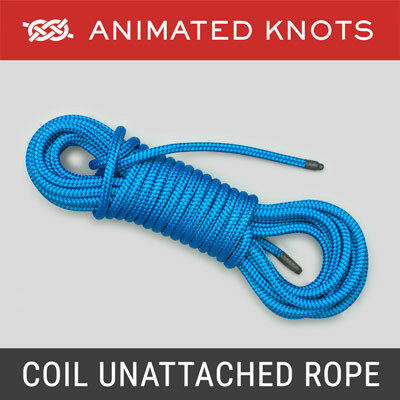 Method of coiling rope when one end is attached. 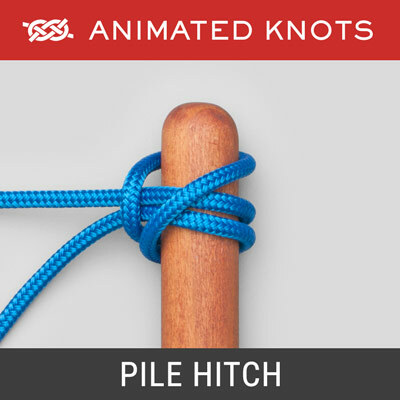 Secure and neat rope storage, minimizes tangles and twists. 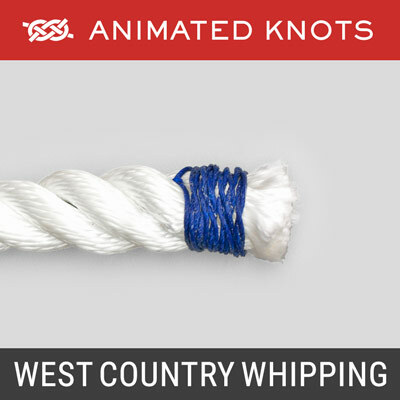 Classic, simple whipping, can be tied without a needle. 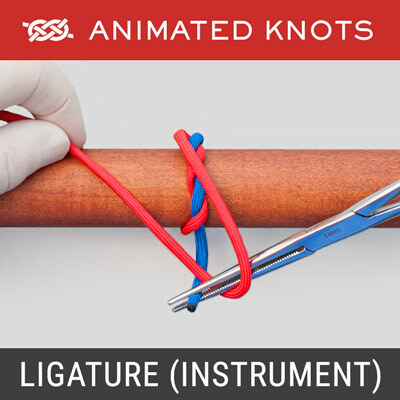 Surgical ligature tied at the end of duct or blood vessel. 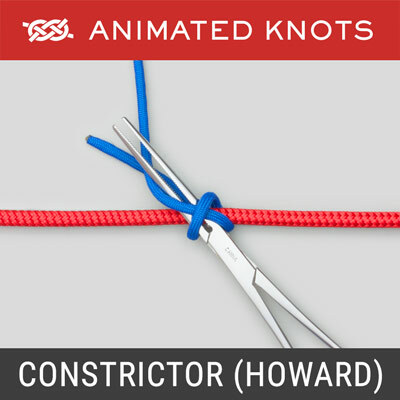 Surgical constrictor using the Howard technique. 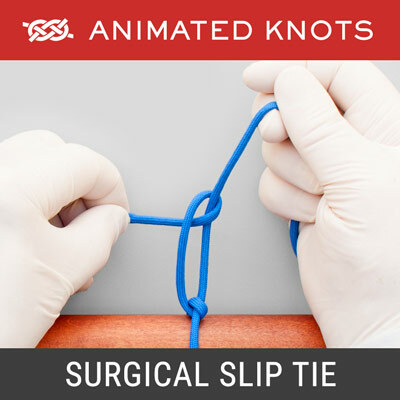 Surgical Constrictor using clamp to retrieve suture end. 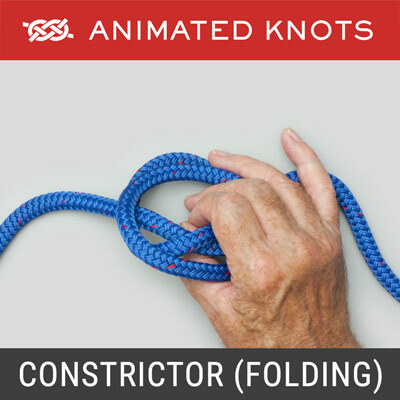 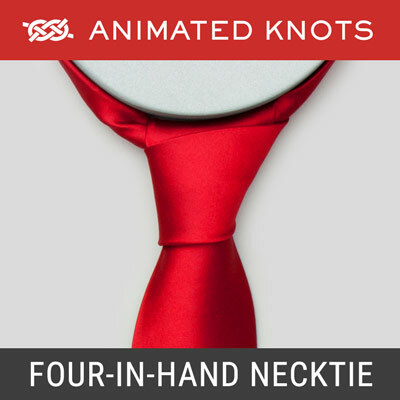 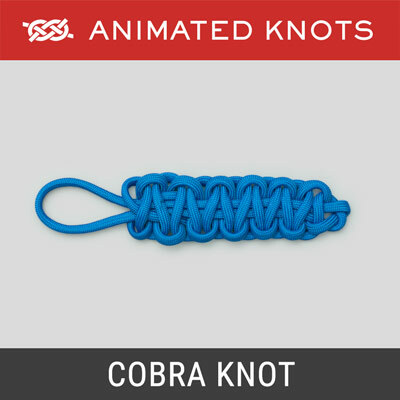 Tie the Constrictor knot using the folding method. 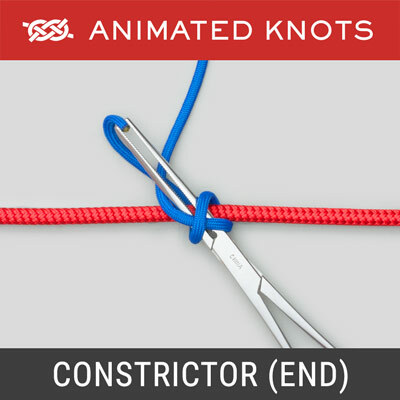 Tie the Constrictor knot using the rope end method. 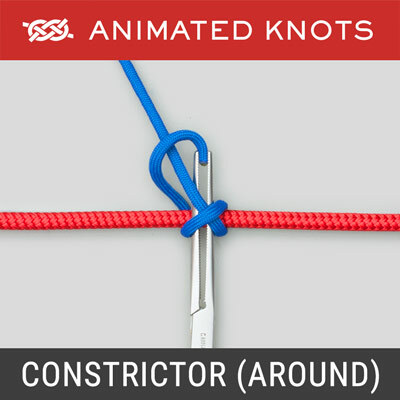 Tie the Constrictor knot using the twisting method. 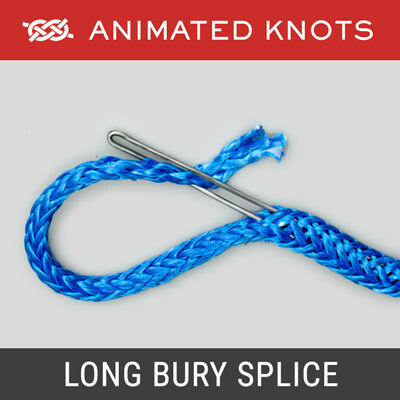 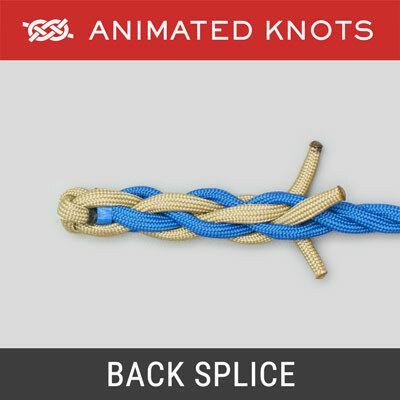 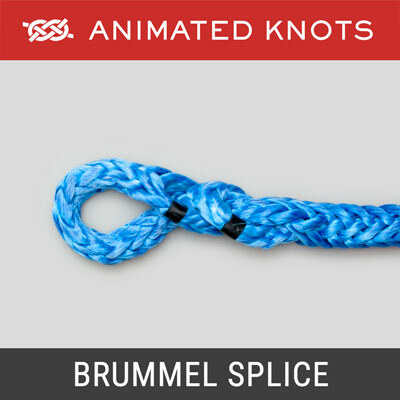 Starts a Back Splice; part of several decorative knots. 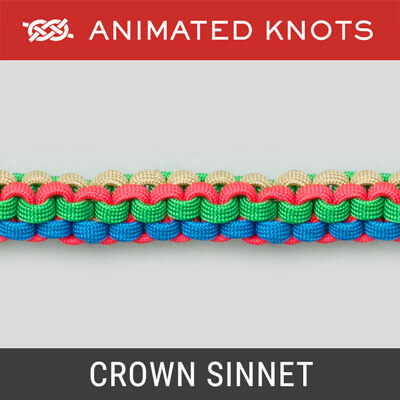 Decorative lanyard made using a series of Crown knots. 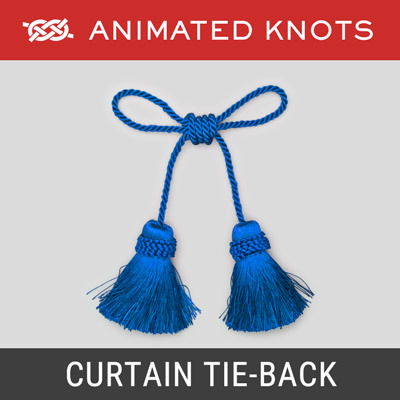 An elegant way to bunch curtain material together. 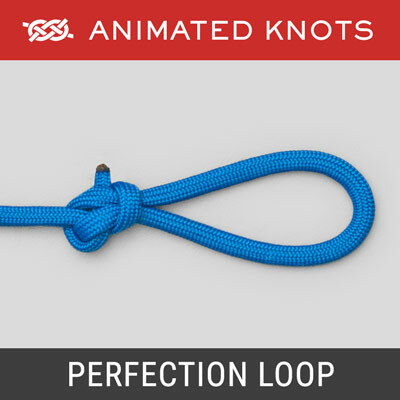 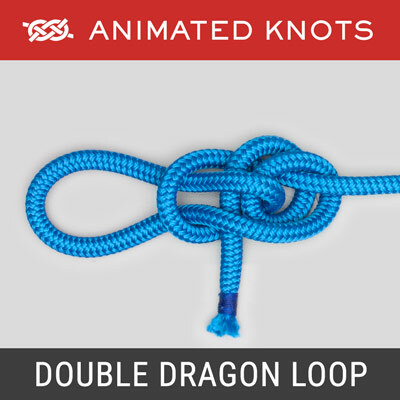 Creates two secure loops in the middle of a piece of rope. 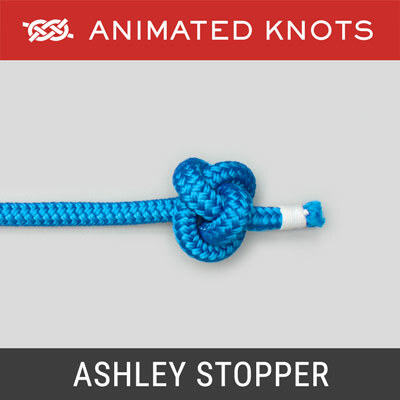 A secure stopper knot which cannot be untied. 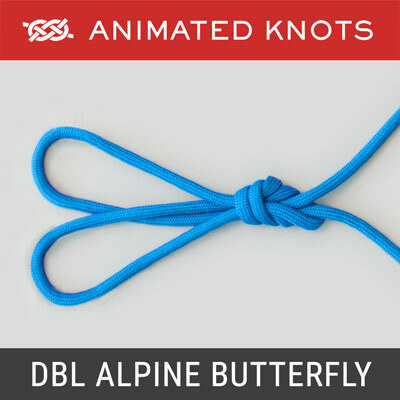 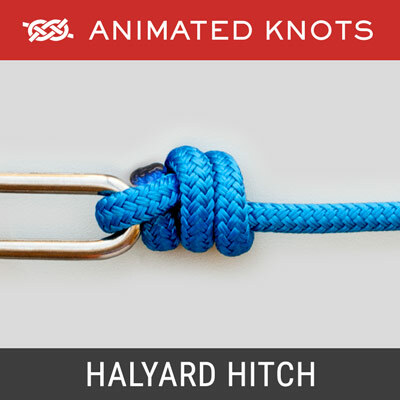 Simple knot used to tie a hook or fly to a leader. 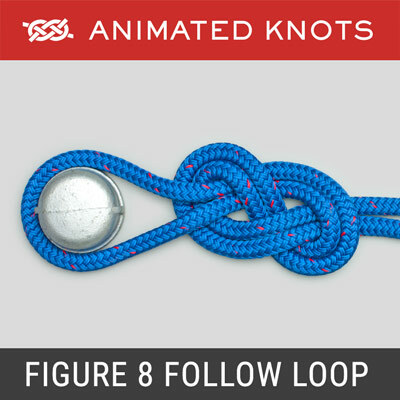 Creates a large loop in the middle of a line. 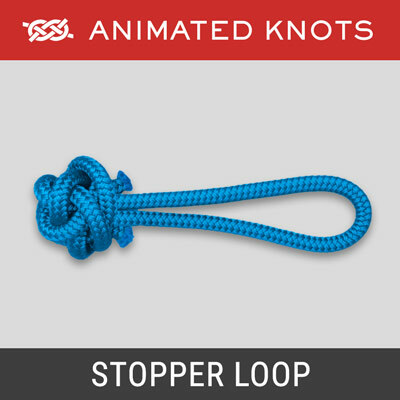 Makes secure loop in the middle of a piece of rope. 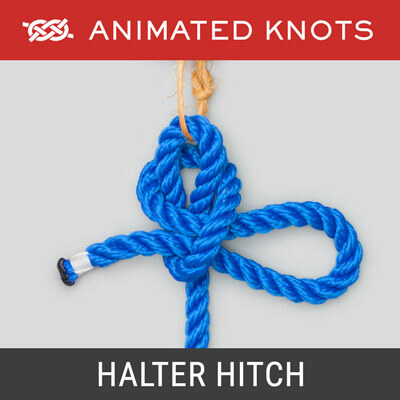 Component of rope halter or hackamore (horse headgear). 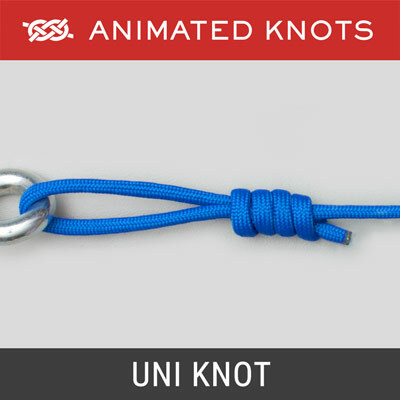 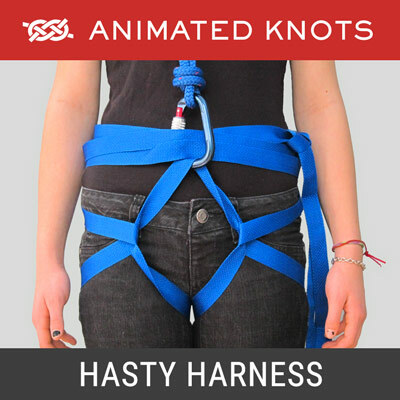 Arranges a rope neatly for fast and safe use. 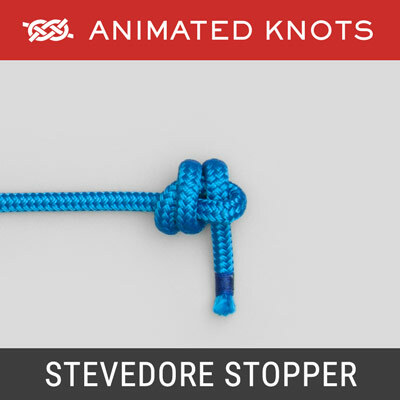 A neat and attractive way to temporarily stow a rope's end. 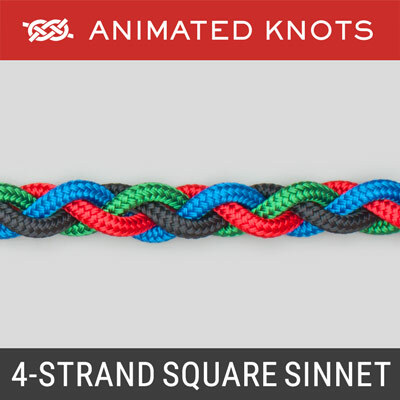 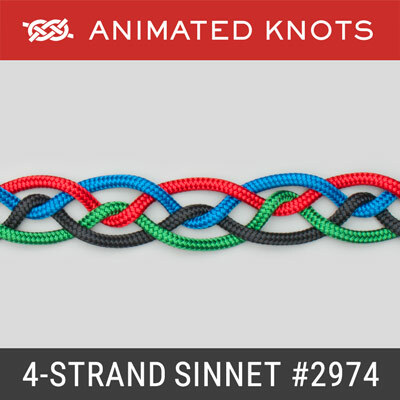 Creates a flat four-stranded decorative braid. 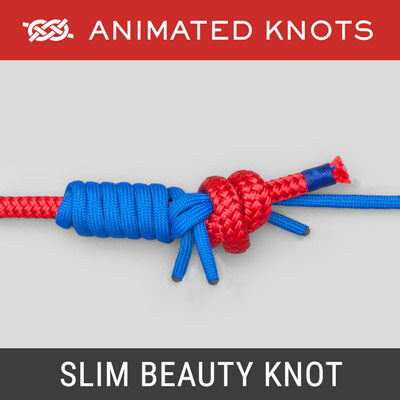 A decorative solid braid that can also be used for hair. 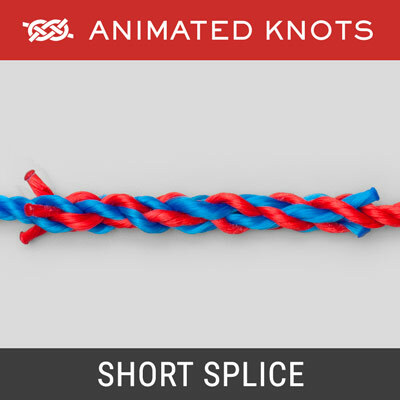 A neat symmetrical braid useful for decoration. 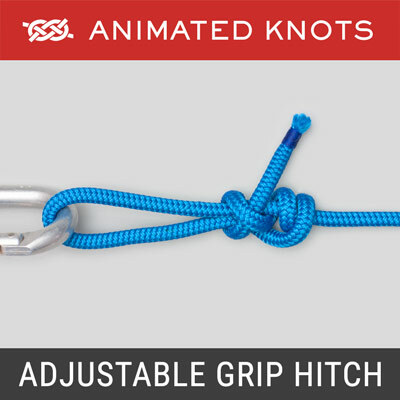 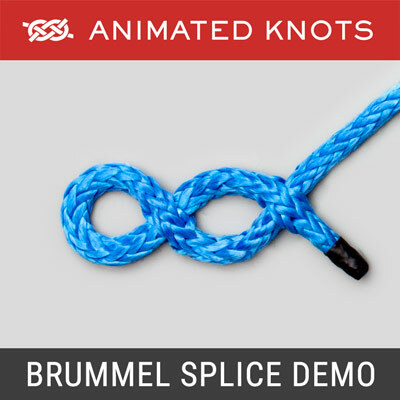 Makes an adjustable splice for multi-strand rope. 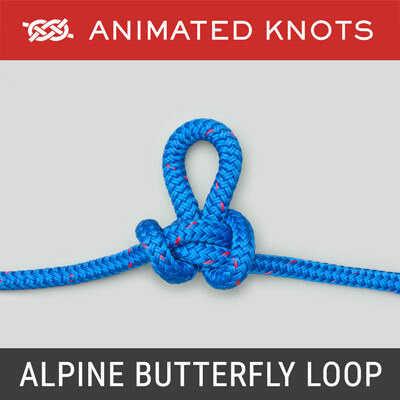 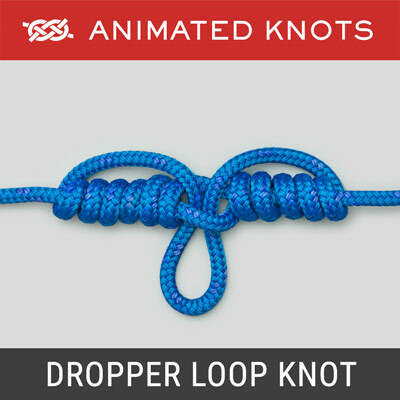 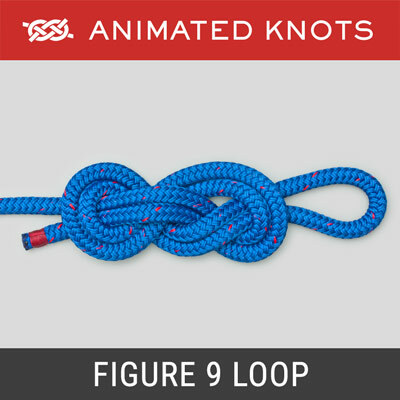 Creates a rope loop using hollow-braid rope. 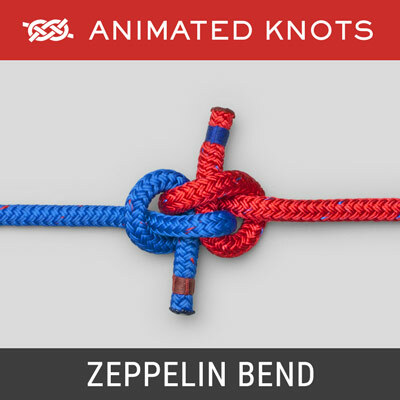 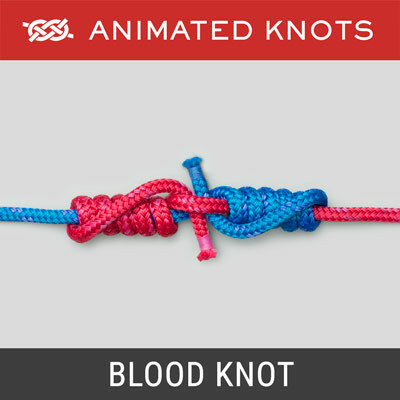 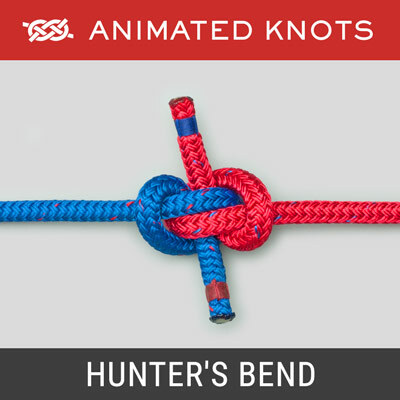 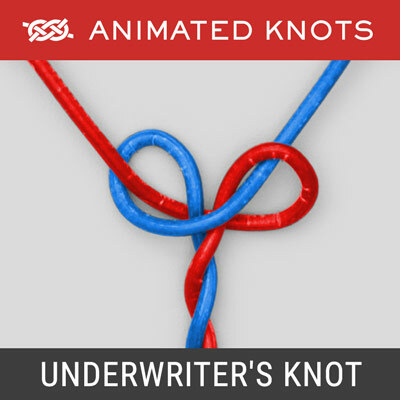 Simple binding knot: first step of the Square (Reef) Knot. 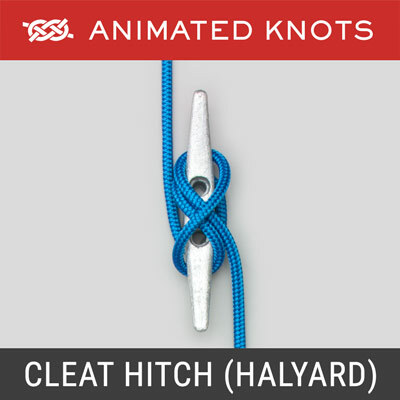 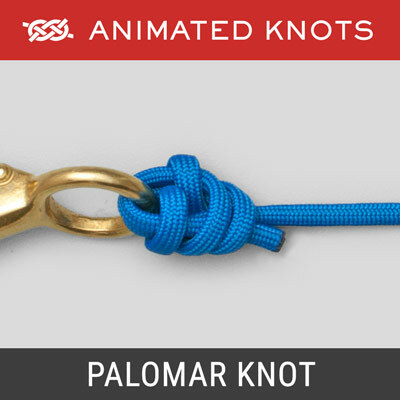 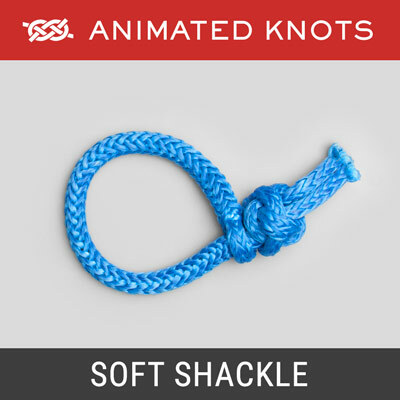 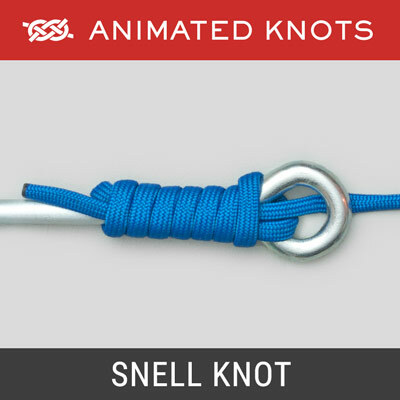 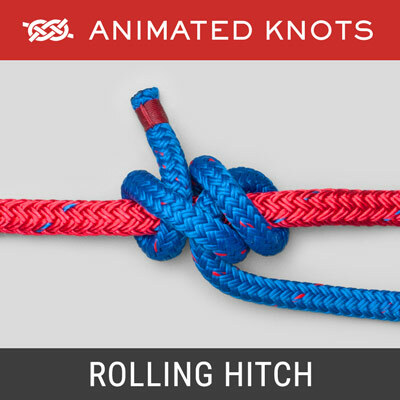 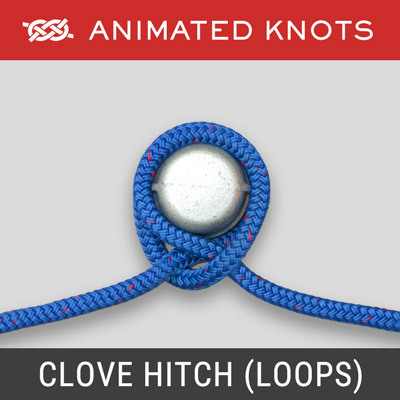 Compact knot to join halyard to a shackle at top of a sail. 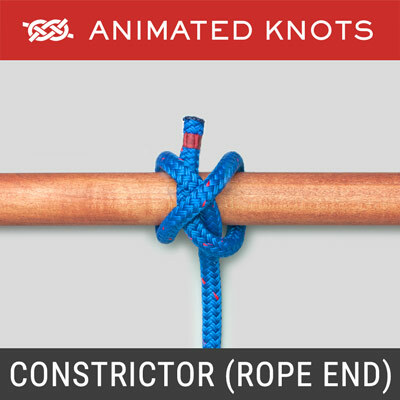 Weights end of a rope to make it carry further when thrown. 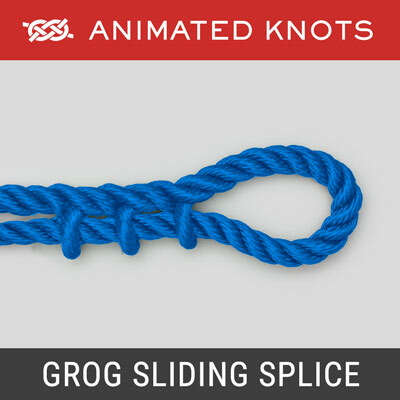 Very secure slide and grip knot that may grip on tapered pole. 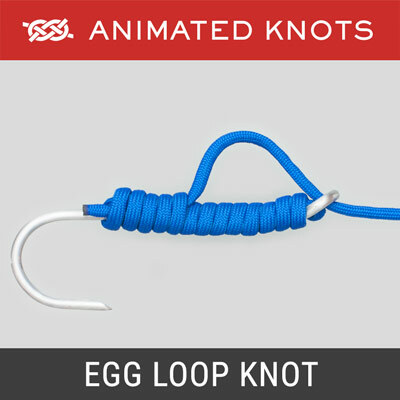 Attaches a fishing line to a hook, lure, or swivel. 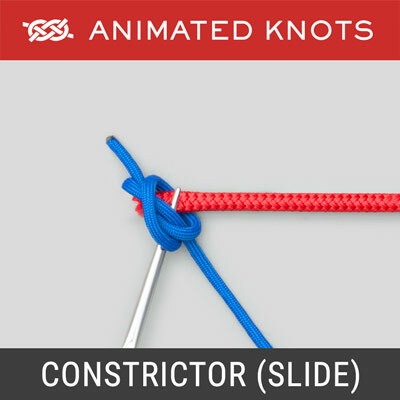 Slide and Grip knot that takes strain in only one direction. 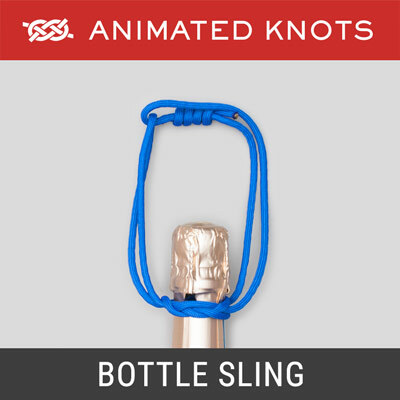 Often used as a decorative component of a Knife Lanyard. 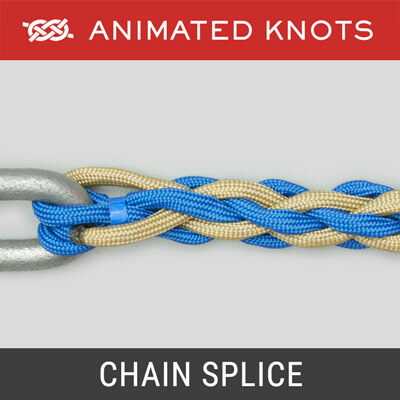 Secures diagonal braces to hold a structure rigid. 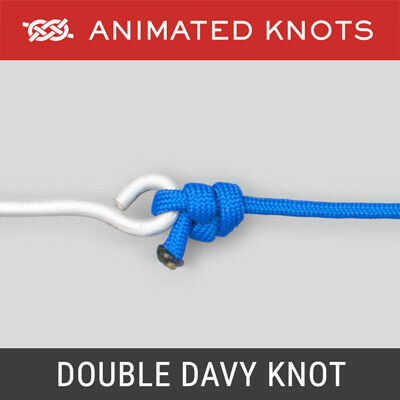 Securely binds two poles together to make an end join. 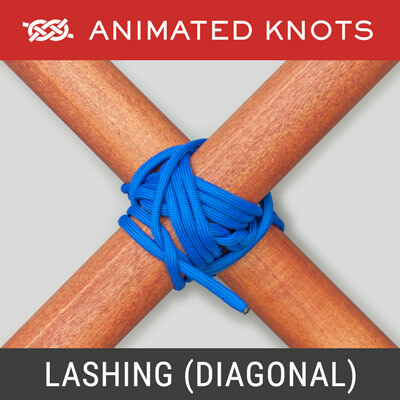 Joins two poles with other ends apart as shear legs. 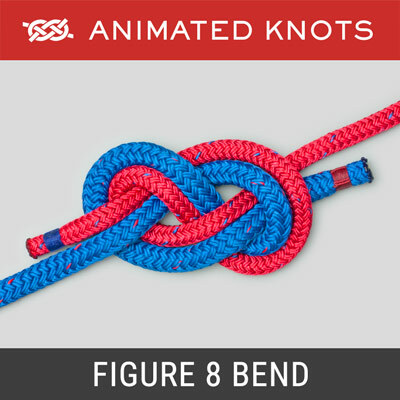 Binds two poles together at a 90-degree angle. 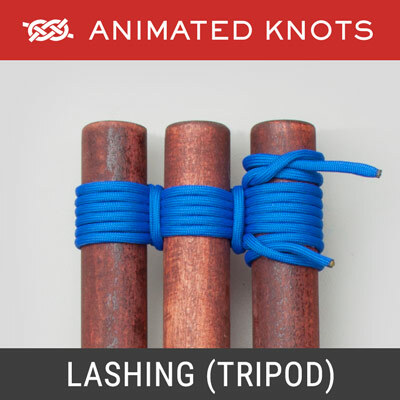 Joins three poles to one another for use as a tripod. 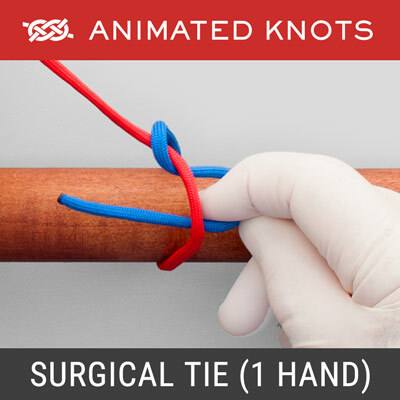 Surgical Double-Throw knot tied using one hand. 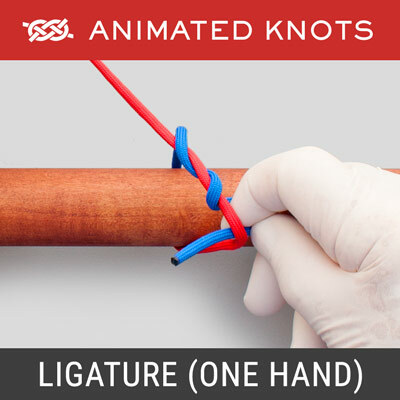 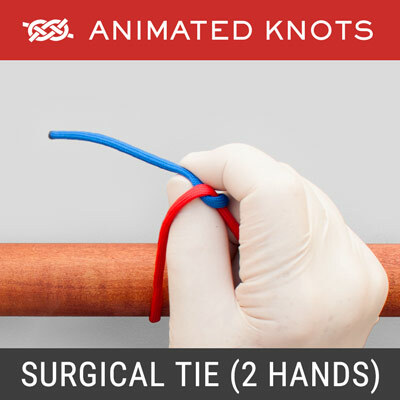 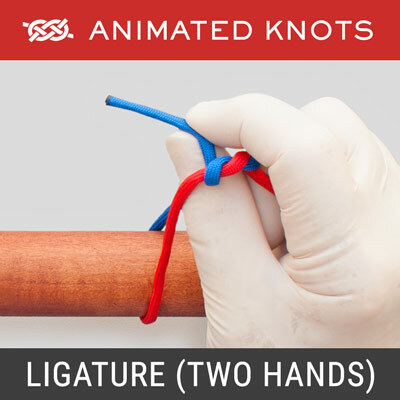 Surgical Double-Throw knot tied using two hands. 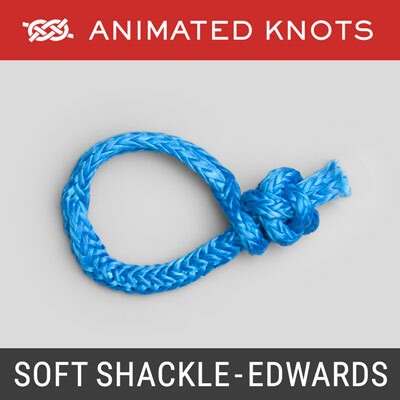 Secures neck of a sack or bundle of items. 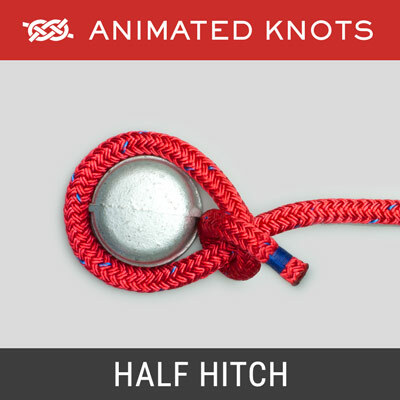 Makes neat ball on a rope's end when throwing it. 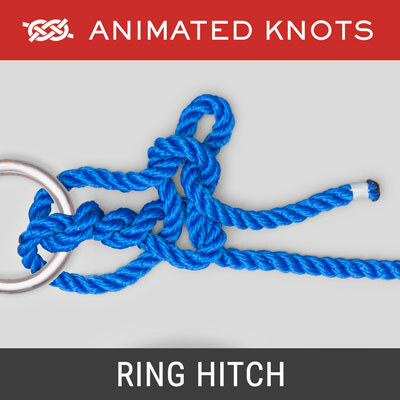 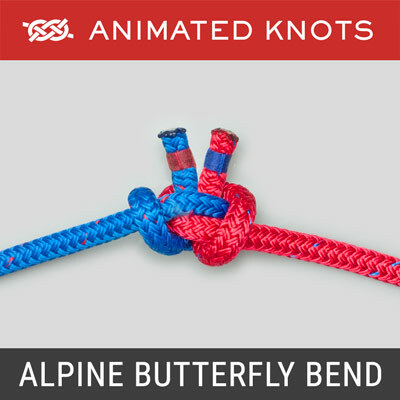 Slide and Grip Knot to control rappelling (abseiling). 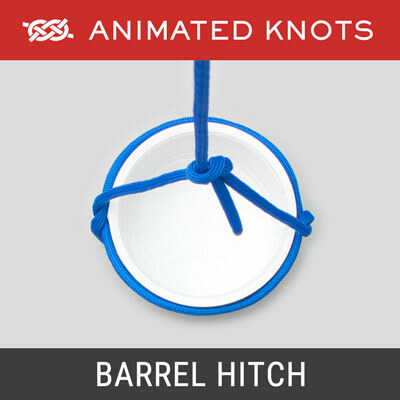 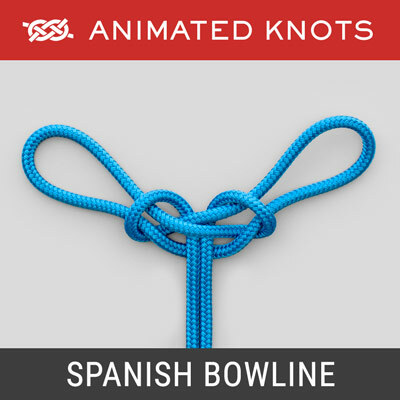 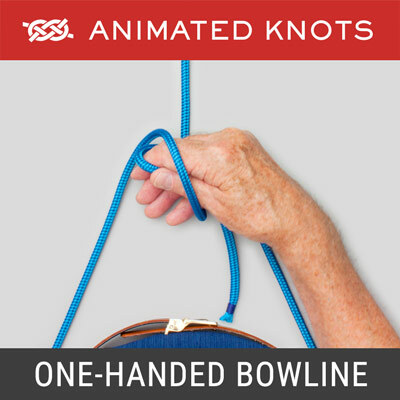 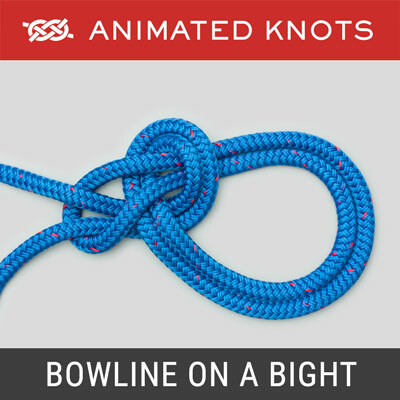 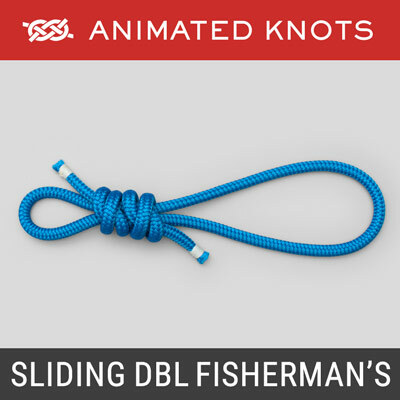 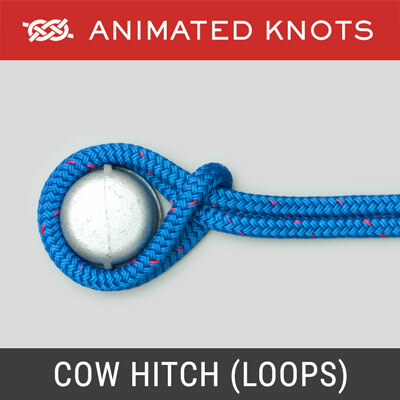 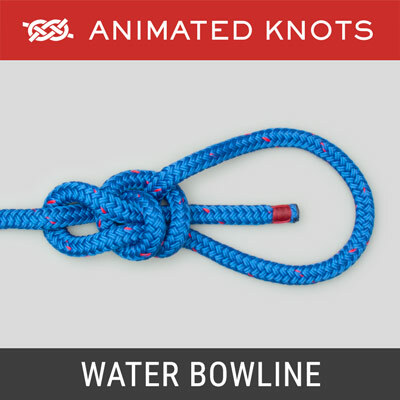 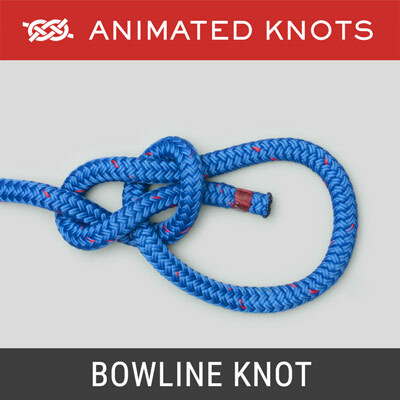 Allows the Bowline to be tied using one hand. 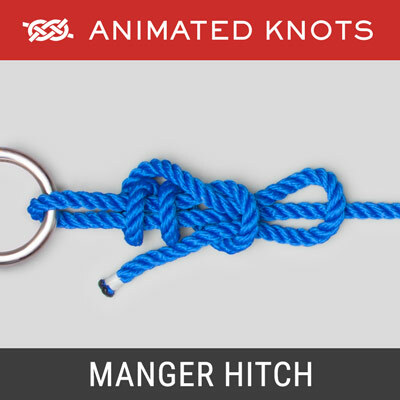 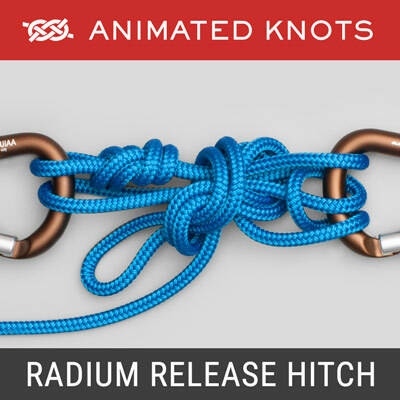 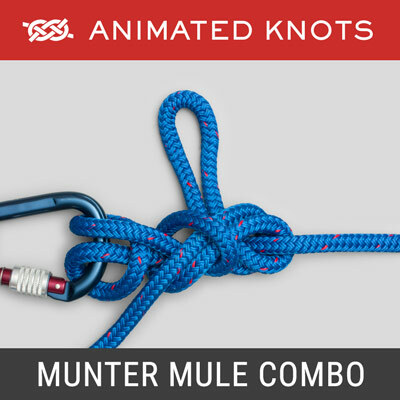 Strong, small, light & reliable knot to attach a hook to a line. 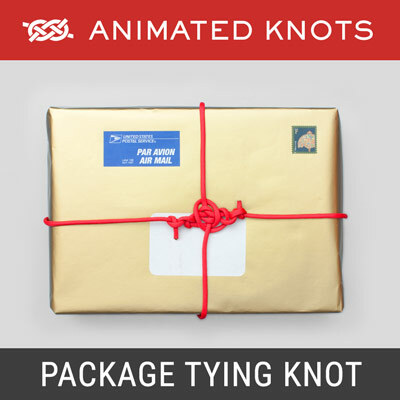 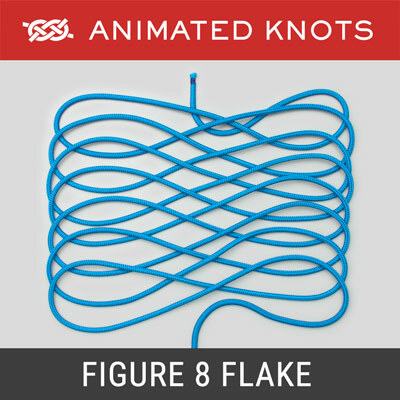 Knots to use to tie a package securely. 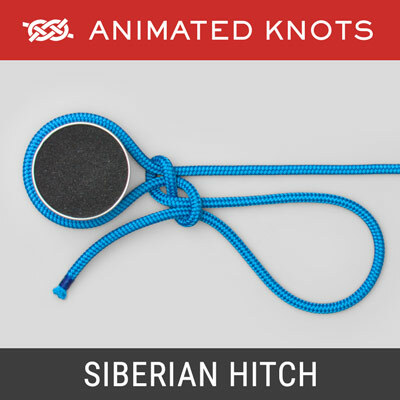 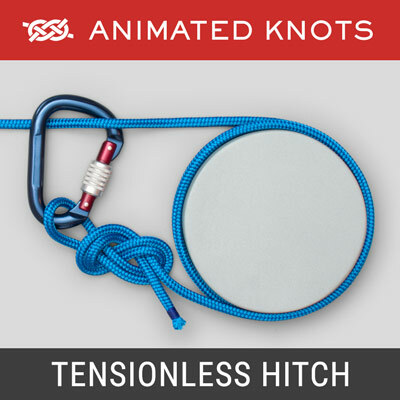 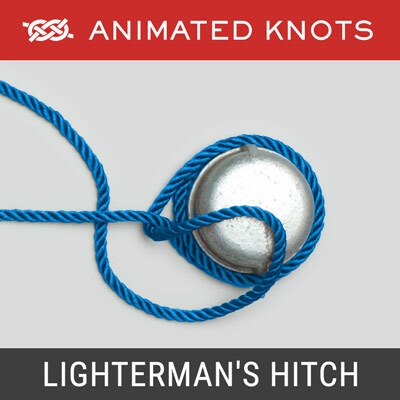 Simple knot to attach a line to a hook, or a fly to a tippet. 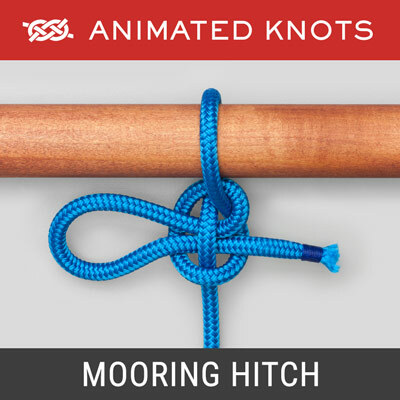 Easy attachment to a mooring pole or to make rope fence. 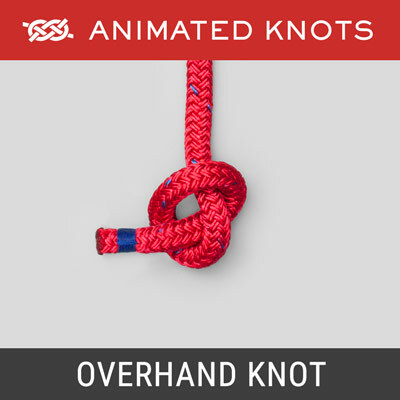 Arborist's method of pulling one rope aloft using another. 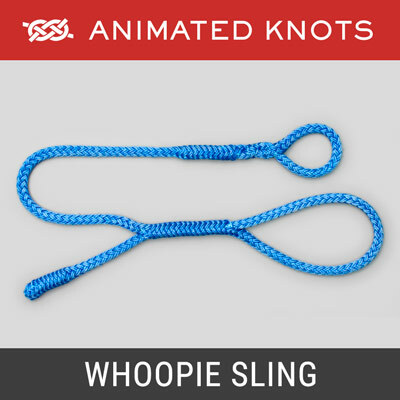 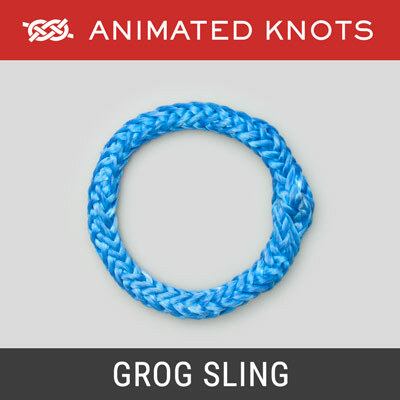 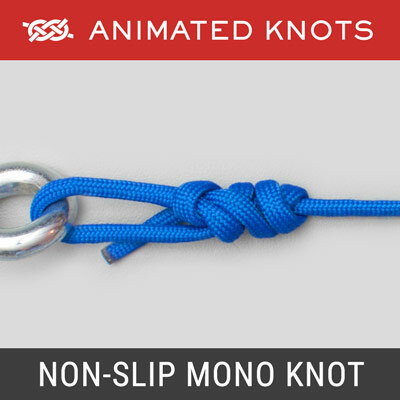 Popular slide and grip knot, may fail with modern ropes. 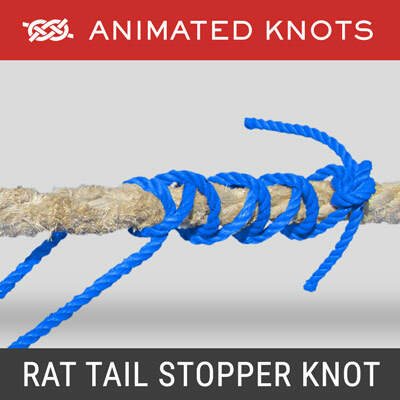 Excellent way of securing a rope to a post or ring. 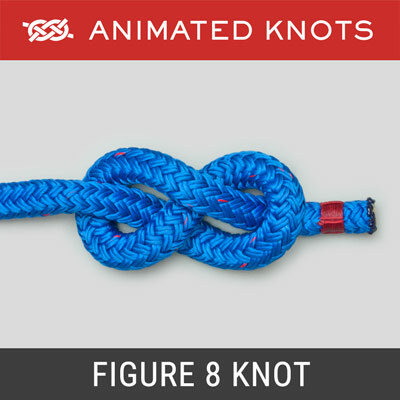 Unreliable knot used to shorten a length of rope. 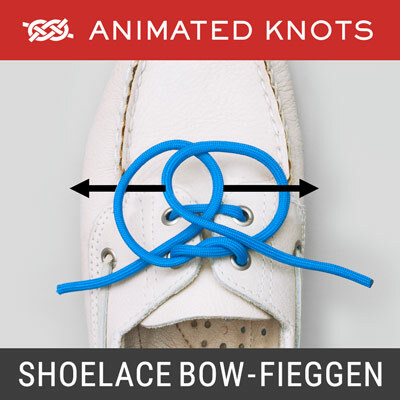 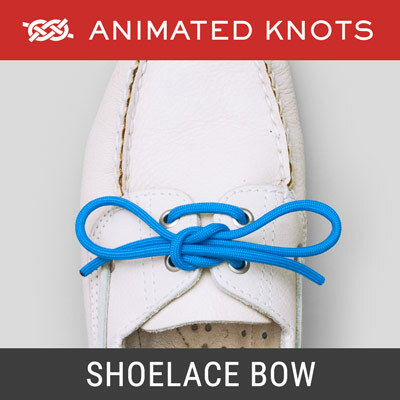 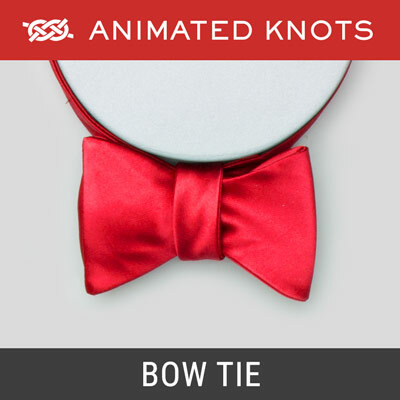 Quick and conveniently tie a bow to secure shoe laces. 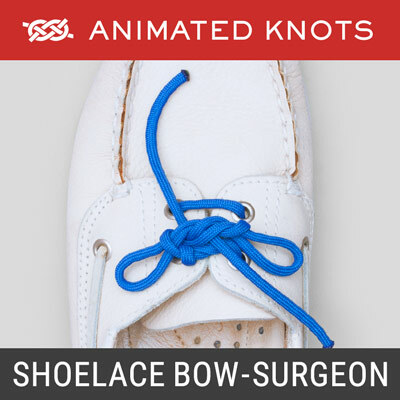 Uses two Surgeon's Half Knots to form Shoelace bow. 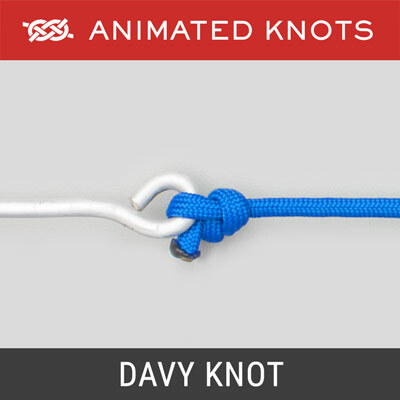 Makes a secure join between two pieces of stranded rope. 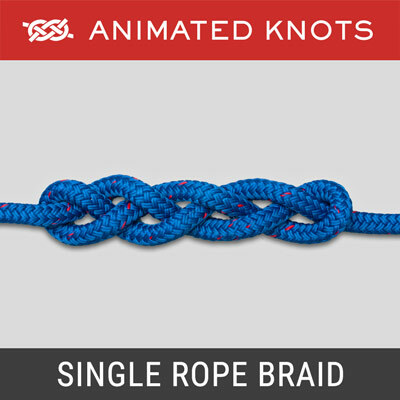 Demonstrates three-stranded braiding using a single rope. 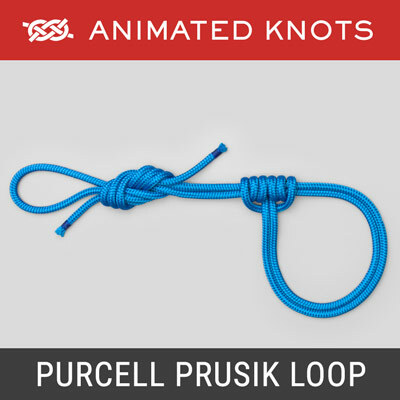 Creates a Prusik Loop with an adjustable length eye. 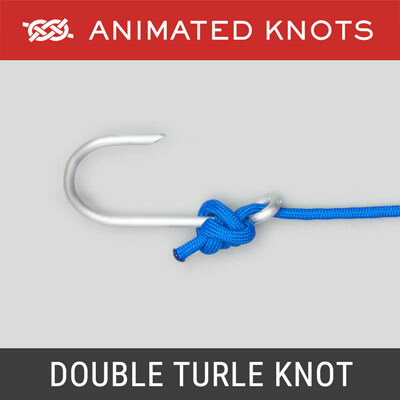 Allows the leader, or tippet, to be directly tied to a baited hook. 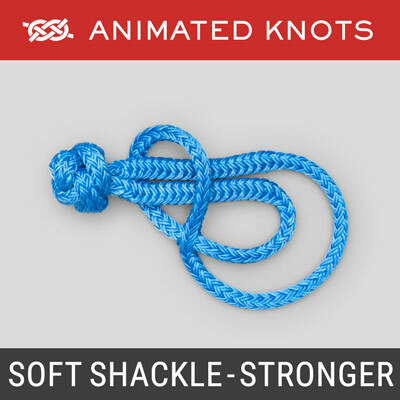 Moderately reliable to secure a bag or a fraying rope's end. 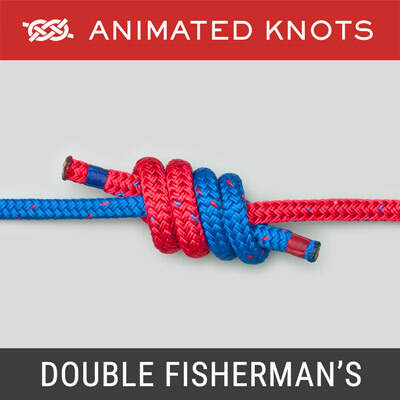 Reliable way to join two lines of moderately unequal size. 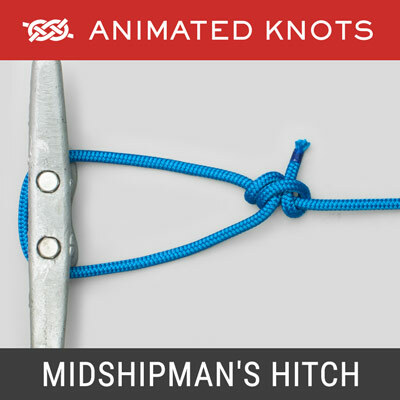 Shows a simple Square Knot being tied with forceps. 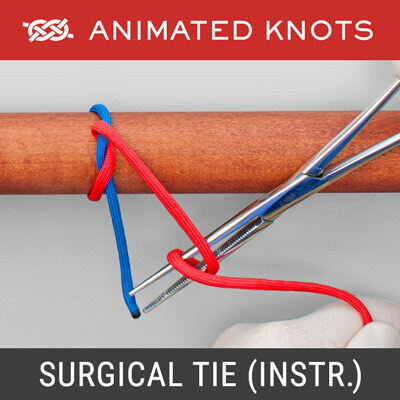 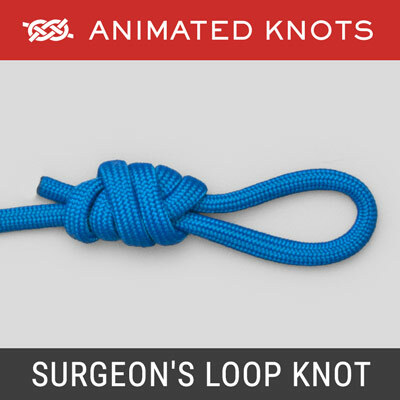 Standard One-Handed knot used by surgeons. 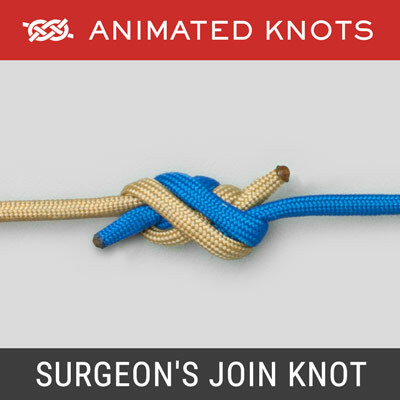 Standard Two-Handed knot used by surgeons. 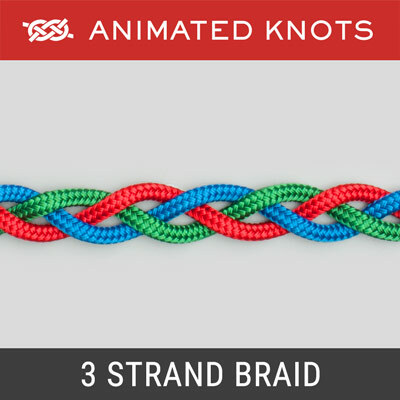 Another three strand braid - not the one usually used for hair. 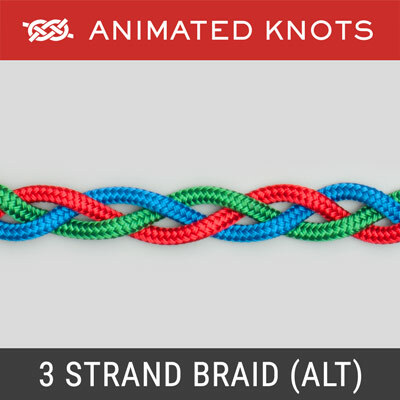 Simplest braid commonly used for braiding hair. 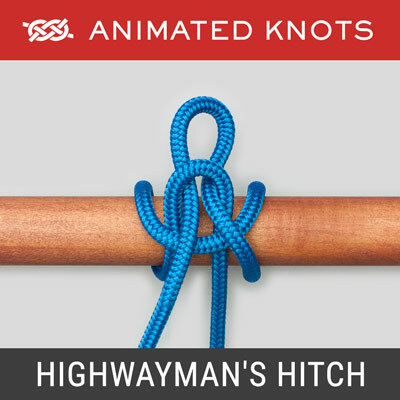 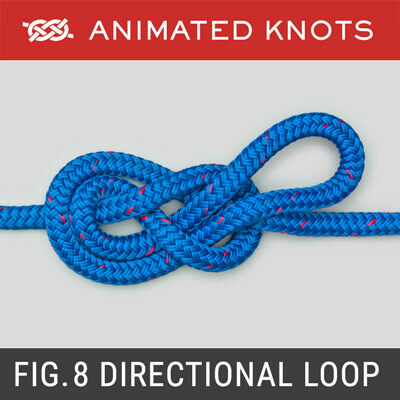 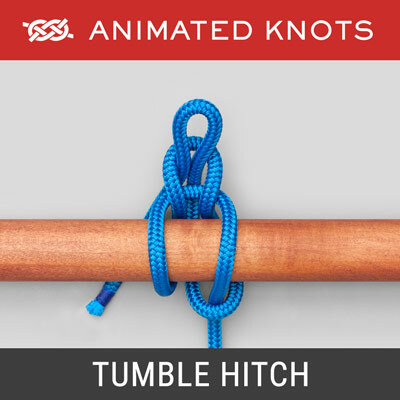 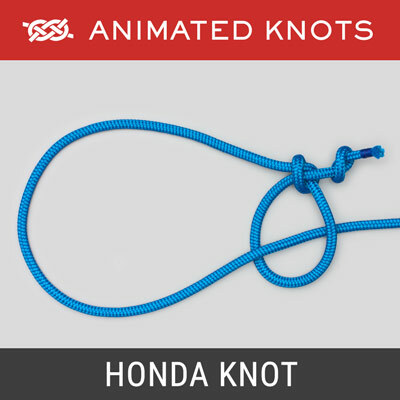 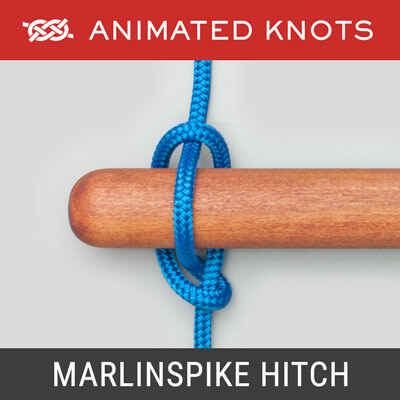 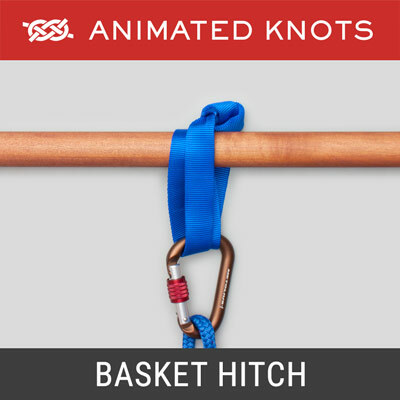 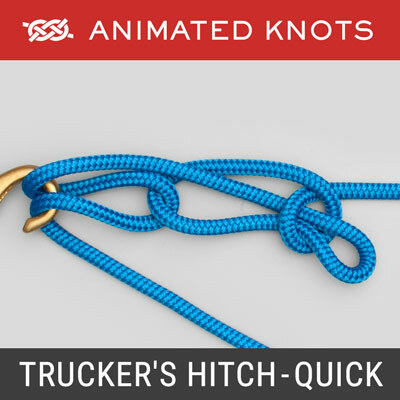 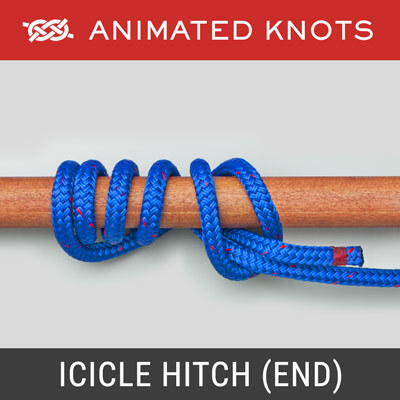 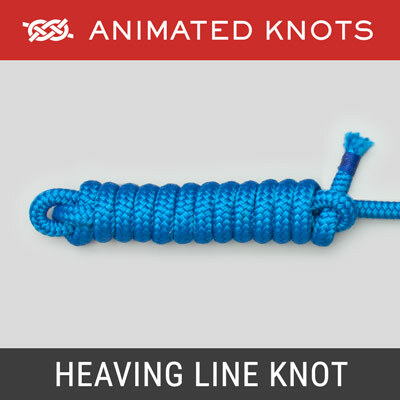 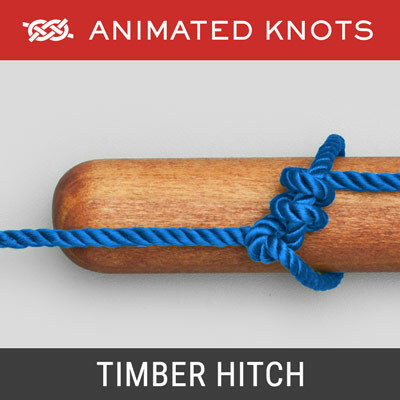 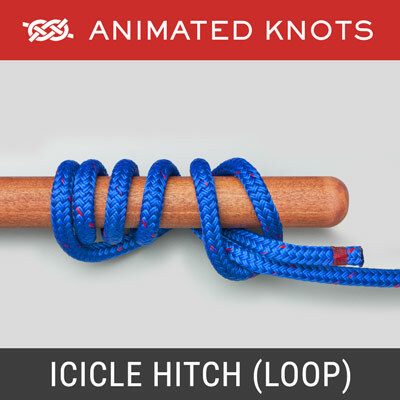 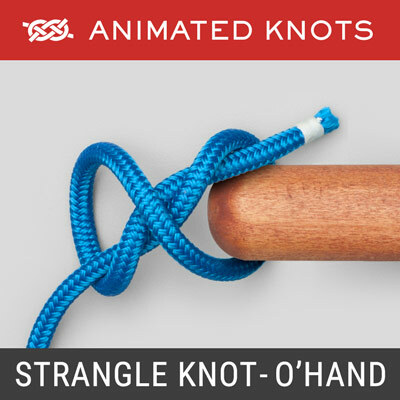 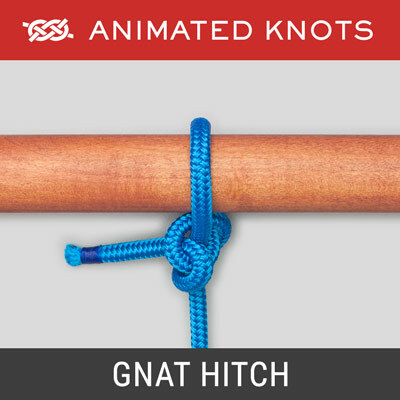 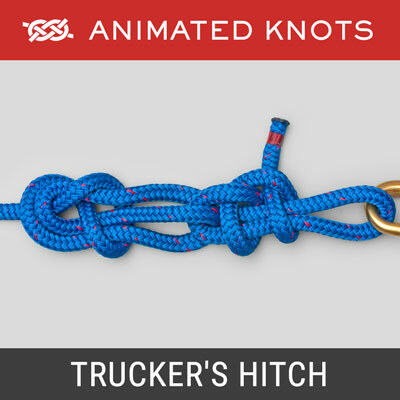 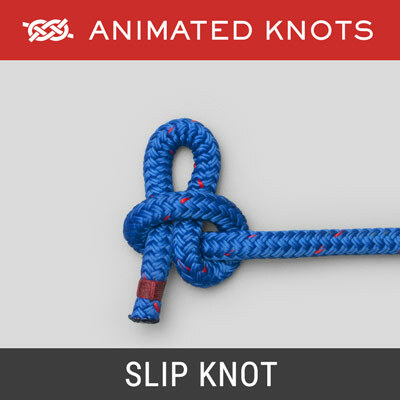 Simple knot commonly used for towing a log. 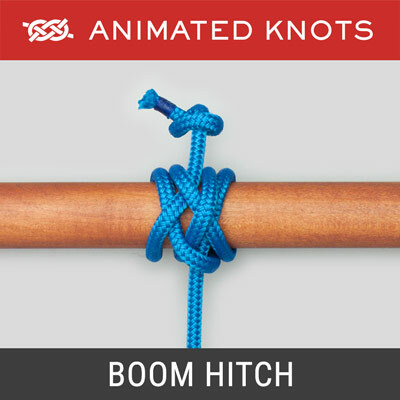 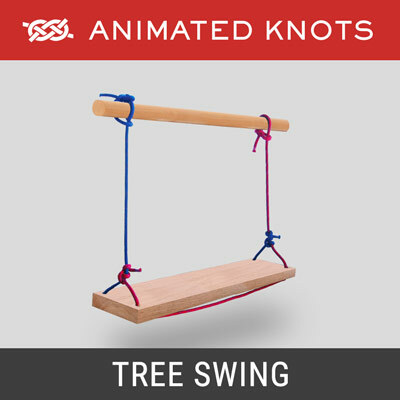 Shows how to tie knots to support a swing. 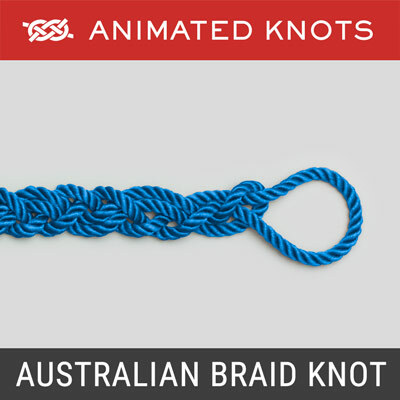 Creates a decorative braid around a pole or scarf. 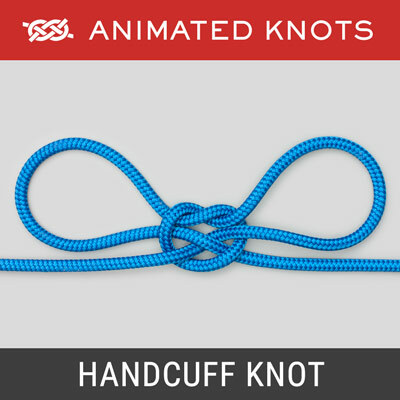 Used to secure an animal or an item to a ring, bar or pole. 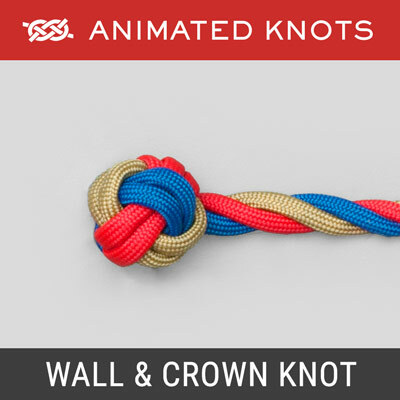 A two-strand crown knot; prevents tension on terminals. 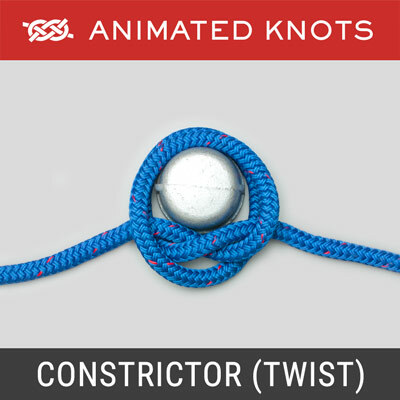 Creates neat compact ball at end of three-strand rope. 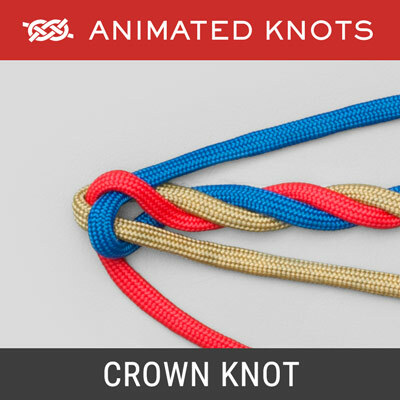 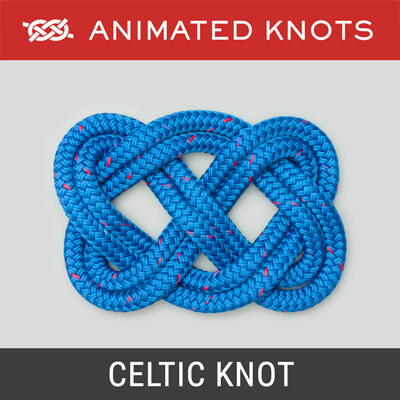 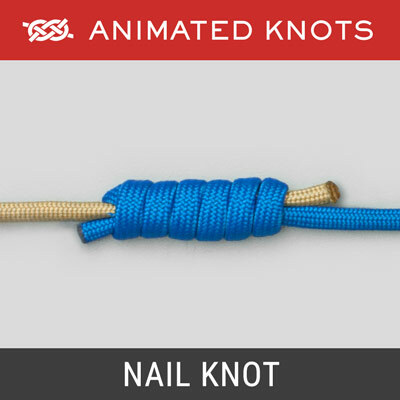 Component of other decorative knots or a small Stopper Knot. 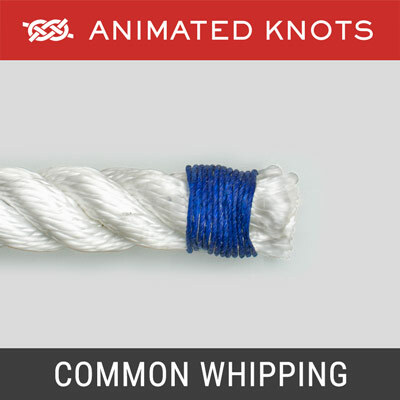 Simple whipping to prevent end of rope from fraying.